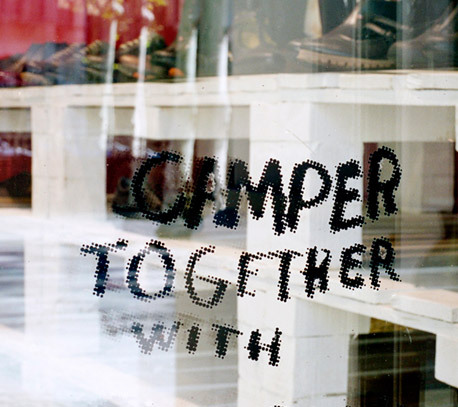 Camper To&ether is a model of collaboration in which we partner with leading designers to create exclusive products and unique stores. 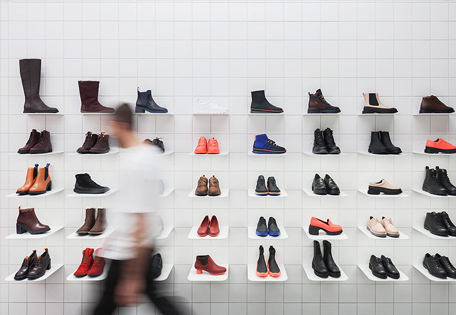 We're proud to team up with creative thinkers from the worlds of art, fashion, and architecture to develop memorable retail experiences and push the boundaries of contemporary design. 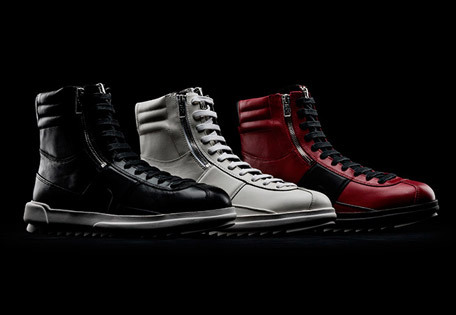 Gosha Rubchinskiy has collaborated with Camper since 2014. 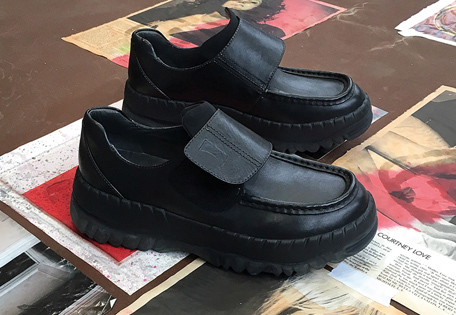 His style blends the ´80s vibe of the original Camper Runner with what Gosha calls “his very own Moscow feel” and the designer´s love for the skater scene. After studying at the Moscow Art School, he graduated from the College of Technology and Design of Moscow in 2003. Then he worked as a stylist for magazines, movies and fashion brands. 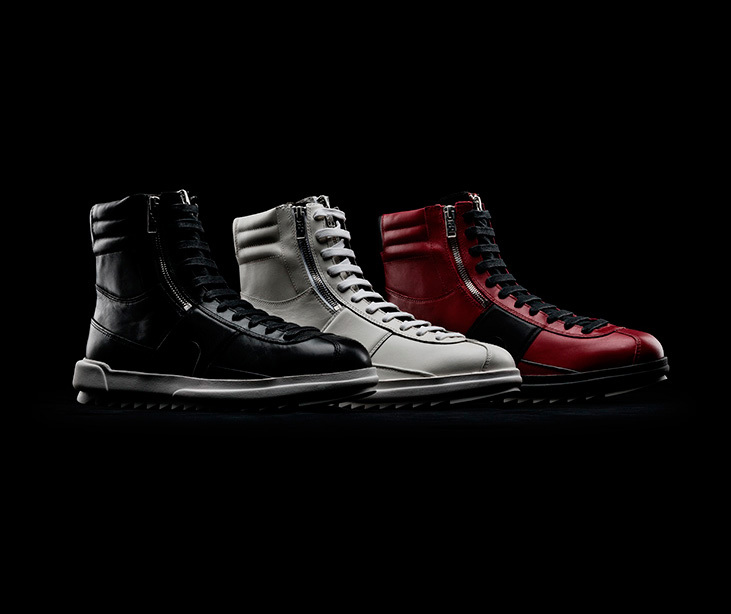 Gosha is a fashion designer, photographer and film maker. Creating fashion sportswear he takes inspiration from the romance of the youth, Russian religious roots and the clash between the post-soviet mentality and growing up in the country after dissolution of the USSR in 1991. His clothes are to be worn by the generation born after 1991 on which Gosha lays his hopes as the most promising part of society who’ll create the new media coverage in Russia. 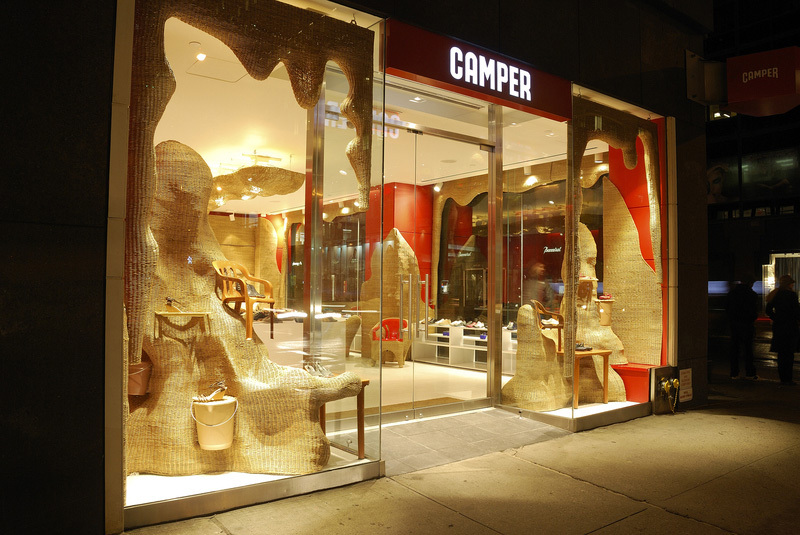 The first Camper Together project with Kengo Kuma was created at the Via Montenapoleone store in Milan in 2014. 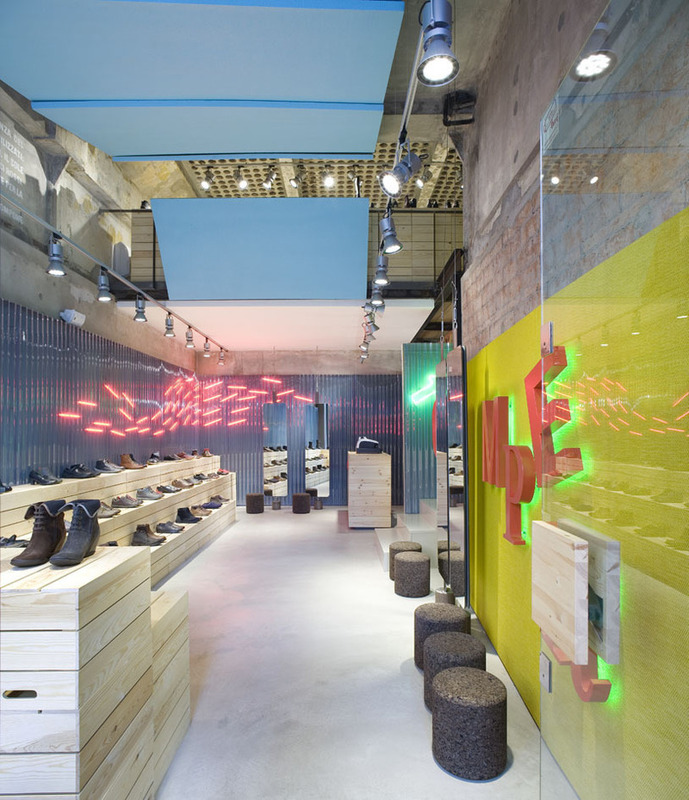 The store was constructed according to the sensitivities of a shoe and multiplied to become a more complex construction, lending a new dimension to the space. 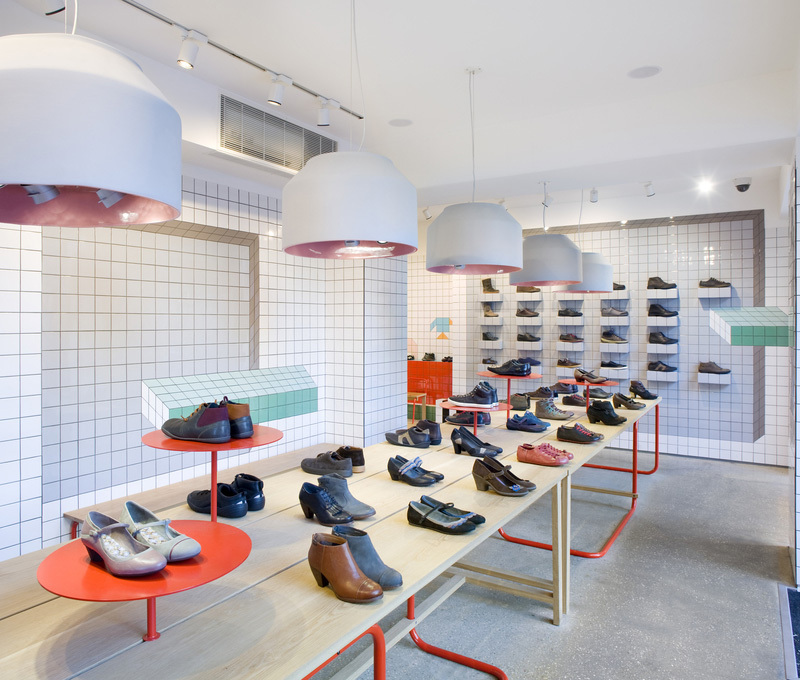 In 2018, the designer returned with a new concept for the Paseo de Gracia store in Barcelona, using traditional ceramic tiles to draw attention to individual products and connect two distinct cultures – Spain and Japan. Kengo Kuma is one of the most intriguing Japanese architects on the international scene. He has designed works in Asia, Europe and North America. He is responsible for numerous museums and cultural building projects including most recently the Suntory Museum and Nezy Museum in Tokyo, and the new FRAC building in Marseilles. Kuma studied at the University of Tokyo and Columbia in New York. His philosophy is based on finding links between the building and its location, using the local and natural materials available in each place. He has passion for wood and stone, aiming to recover both the warmth and tenderness of the architecture through them. 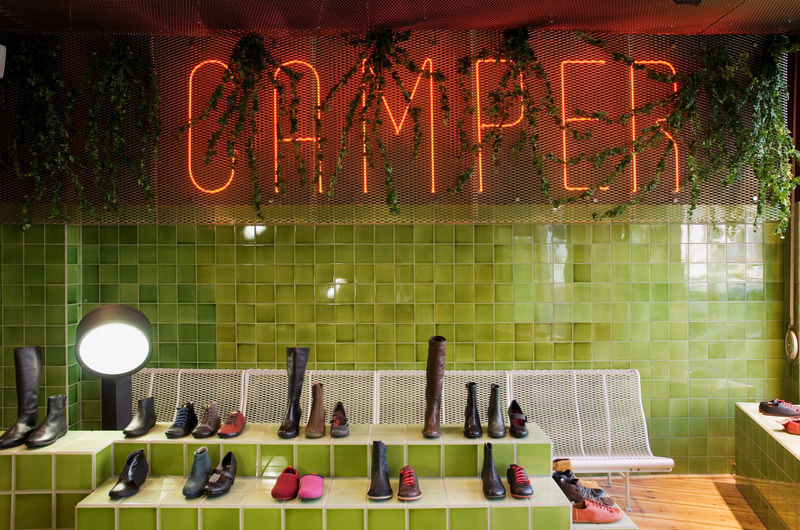 The Camper stores designed by Doshi Levien are an ode to plural origins. The designers incorporate elements that add the energy of the Mediterranean to their particular cultural smorgasbord. These deceptively simple spaces invite visitors to discover the details. 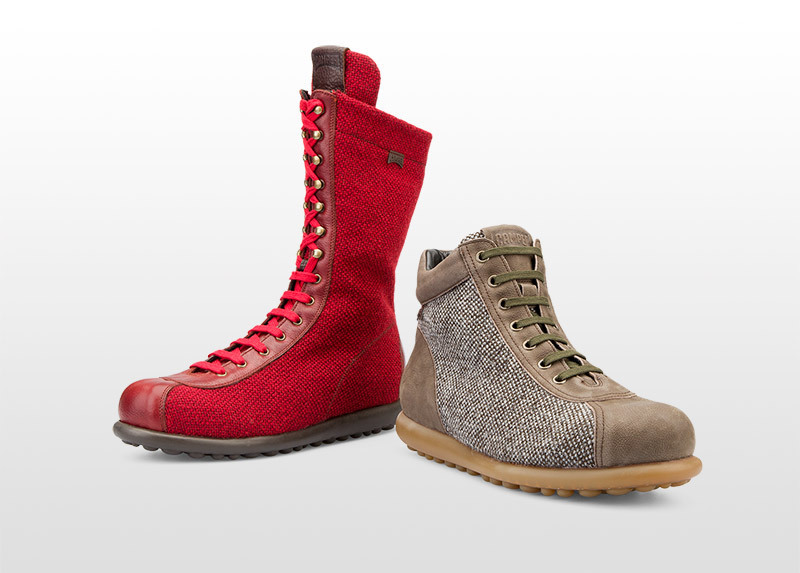 In each project, the authors' universal attitude captures the full essence of the Camper spirit. 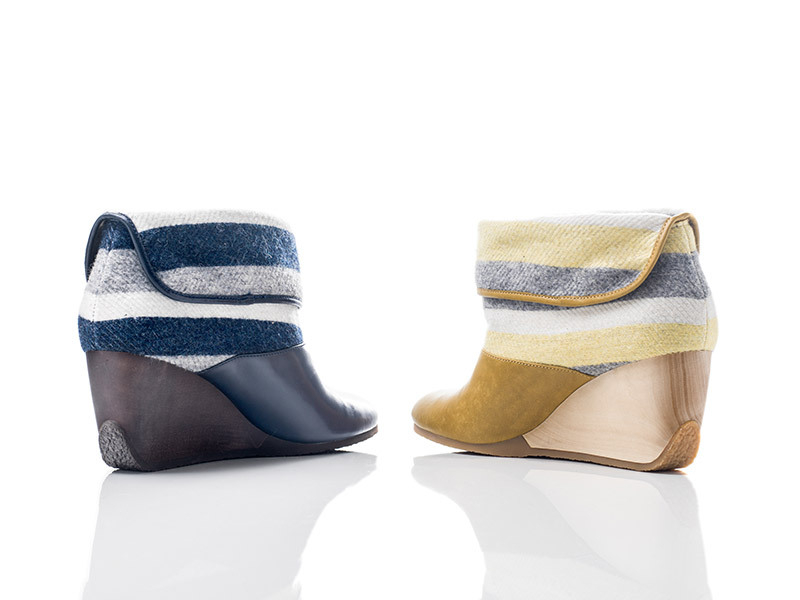 Doshi Levien is one of the most creative duos on the international scene. The two designers, though born and raised in very different settings, followed similar paths. Nipa Doshi studied at the National Institute of Design in Ahmadabad while Jonathan Levien was completing his BA at Bucks College in High Wycombe, and in 1995 their paths crossed at the Royal College of Art in London. 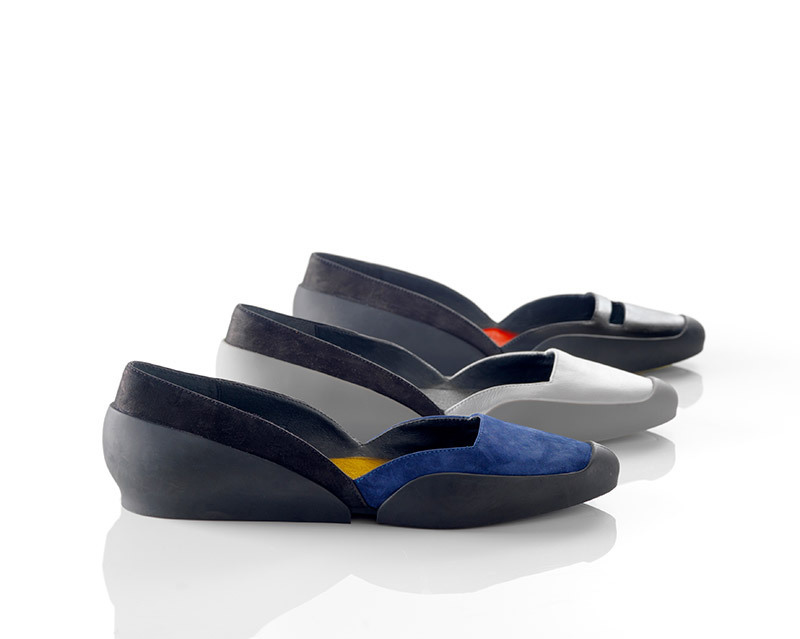 Five years later they founded Doshi Levien in London, the studio that would catapult them to international design fame. 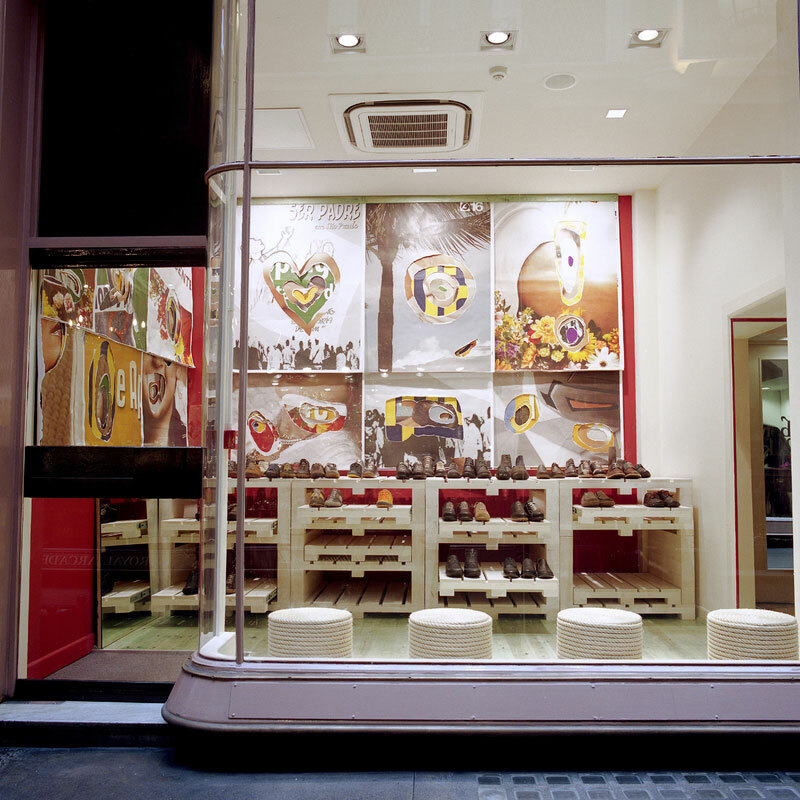 Doshi Levien develops projects for firms such as Moroso, Cappellini, Intel and Authentics. 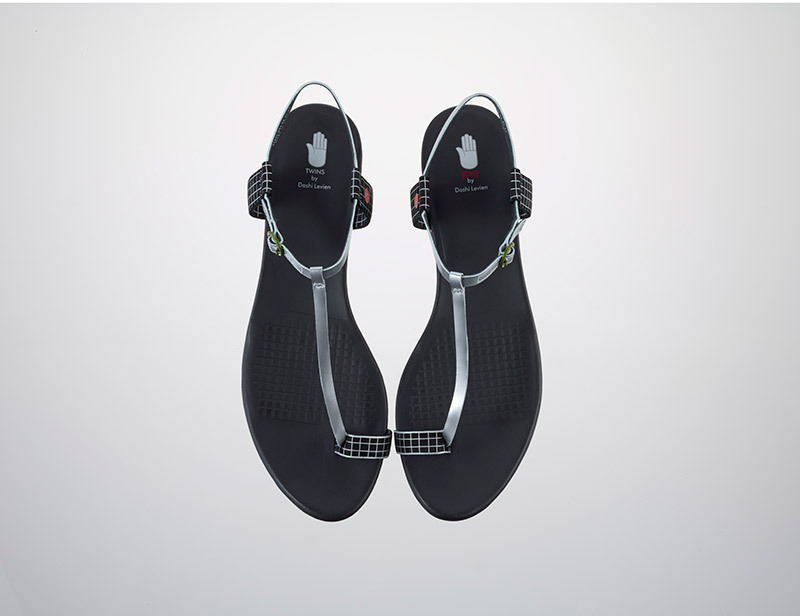 They have participated in numerous events and exhibitions, including the Government of India Design Summit, New Delhi, 2004, 100% Design London, 2007, Interior Lifestyle Shanghai: "On Design" lecture series, 2009, RCA Workshop, 2010, Royal College of Art: MA Design Products, 2010-2011, and Boisbuchet Vitra Workshop, 2011. 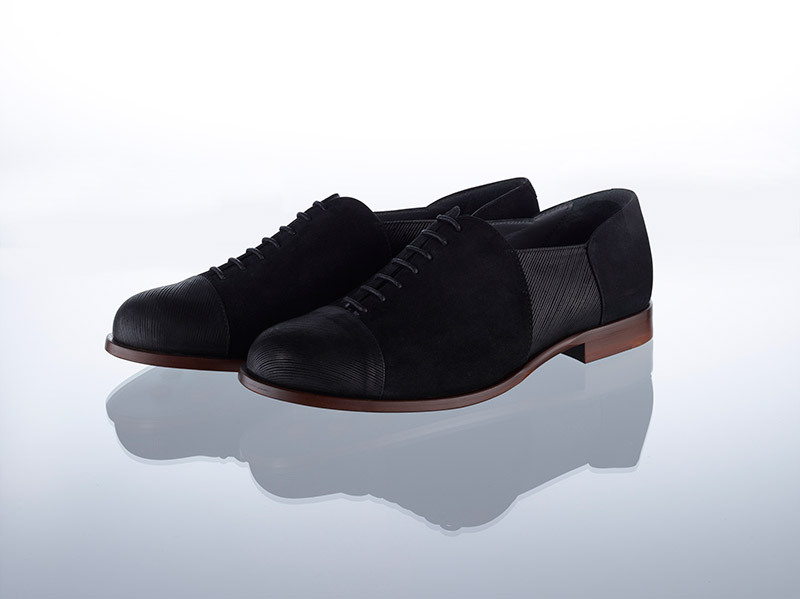 Among their many distinctions are the FX Design Award 2003, production grants from the Arts Council of England and B & B Italia in 2005, the Wallpaper Award for Best Breakthrough Designer in 2007, a grant from the Arts Council of England in 2007, the Movado Future Legends Award in 2007 and the IMM Cologne Best of Best Award for the Children's "Rocker" for Richard Lampert, 2011. 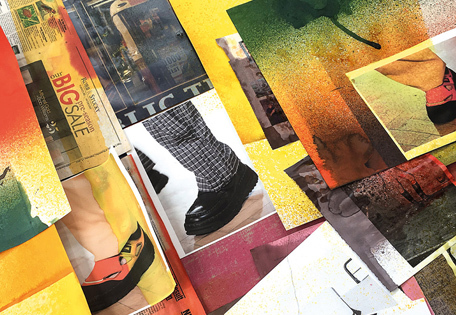 Designer Kiko Kostadinov embraces the concept of “new outdoors” by revisiting our archives and paying tribute to some of our most iconic styles. Strongly influenced by modern-day workwear, the artist channels his industrial inspiration into rugged typologies sporting extreme volume and complex, multi-piece constructions. 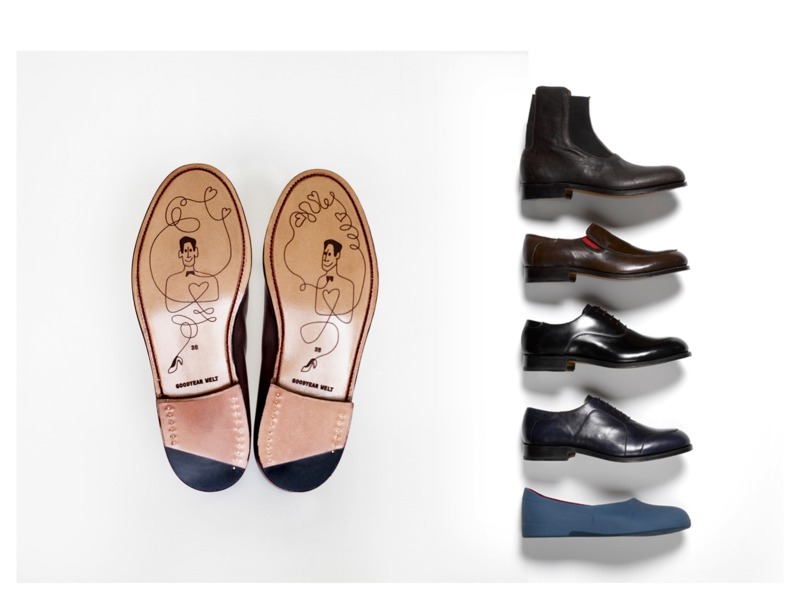 With a sharp focus on protection and functionality, Kostadinov is the kind of provocative young talent capable of infusing decades of shoemaking heritage with an experimental aesthetic that is all his own. 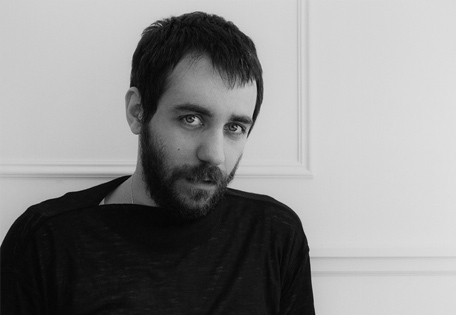 Kiko Kostadinov is a Bulgarian-born designer based in London. Often influenced by uniforms and workwear, his work focuses on innovative pattern cutting, attention to detail, and intricate garment construction. Kostadinov is a graduate of Central Saint Martins and presented his debut menswear collection in June 2016. Later that same year, he was named creative director of luxury British heritage brand Mackintosh, leading their new designer line Mackintosh 0001. He is also a regular collaborator with Dover Street Market London, Ginza, and New York and was recently named one of Forbes Europe’s 30 Under 30 in The Arts category. Russian designer Maxim Maximov leads the team at Asketik, a Moscow-based interior and product design studio. 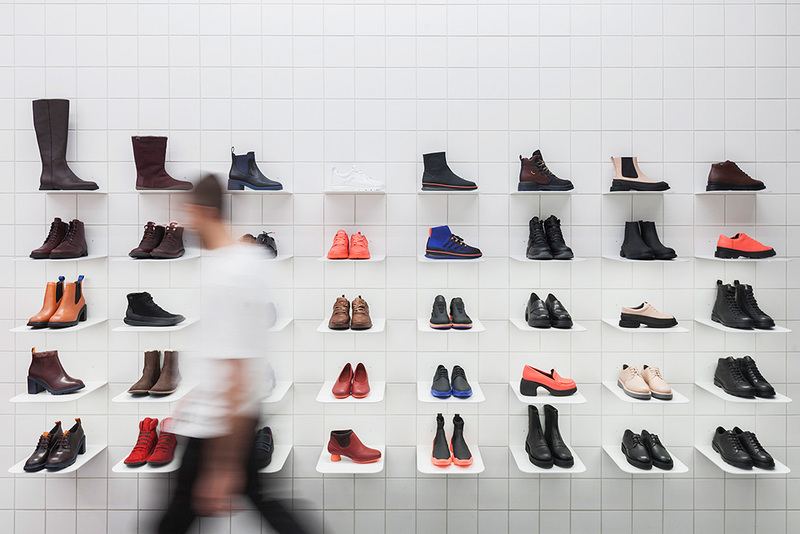 Located inside Moscow’s Metropolis Mall, the studio’s first Together store features a clean, minimalist aesthetic designed for maximum functionality. Classic details like exposed warehouse shelving and 15x15 white matt tiles pay tribute to the industrial look of Soviet supermarkets while the prominent use of red represents small details from Maximov’s childhood. Maxim Maximov is a Russian designer based in St. Petersburg, Russia. After studying industrial design at the Architectural University of Oryol, Russia, Maximov came to public attention in 2011 when he won Prem Furniture, a design competition judged by Ross Lovegrove, Vadim Kibardin and Oskar Zieta. That same year, Maximov participated in SaloneSatellite Moscow with his project One Line and was subsequently published in Wallpaper magazine and Interni. His character and sense of humour are evident in his work, where he uses tubular metal and other materials to create fluid, minimalist designs that are both classic and contemporary. 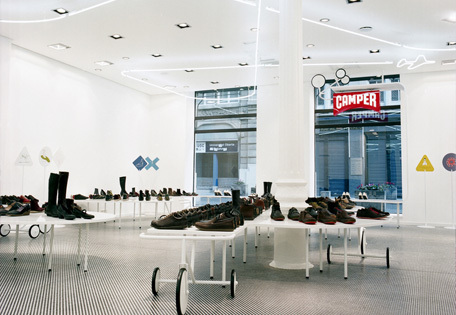 "Postcard Shop", "Info-Shops", "Walk in Progress"... the most quintessentially Camper Together stores are the product of the brand's collaboration with Martí Guixé. In these dynamic, expressive spaces, the message is the design, and the design is the message. 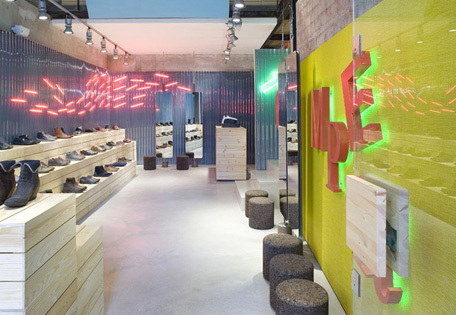 Martí Guixé invents and creates everything from temporary recyclable shops to interactive premises that invite visitors to interact, write, draw, think, share, converse or send postcards. Creative licence, no holds barred. The medium is the message. Guixé answers to many descriptions: "ex-designer", "technogastrosopher", "tapas pro" or "multi-talent". In 1983 he completed his studies in Interior Design at Elisava, the Barcelona University School of Design, and in 1985 he graduated from the Polytechnic School of Design in Milan with a degree in Industrial Design. The unconventional work of this concept creator, idea builder and atypical designer has caught the attention of major firms in the field of creativity and design, such as Alessi, Authentics, Corraini, Danese, Dentsu, Drill, Droog Design, Isee2 and Vitra, for whom he has developed singular projects that have earned this "ex-designer" a spot in the international limelight. His work can be found at the MoMA, the National Art Center, Tokyo, the Centre Pompidou, Paris, the Design Museum London, and the Museum für angewandte Kunst, among other institutions. Humberto. Brasil, 1953. Fernando. Brasil, 1961. 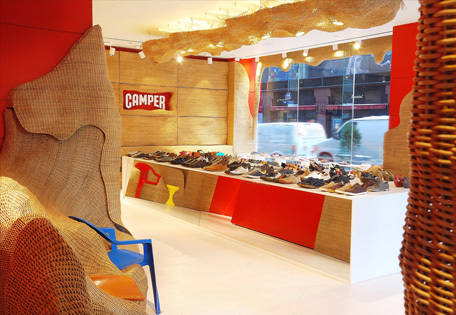 Camper and the Campana brothers have a lot in common: they both feel that rules were made to be broken, champion creative freedom, practise experimentation and believe in the virtue of simple solutions. Their partnership has produced eloquent spaces by combining humble materials in surprising new ways: creative chaos, blends, colours, transformation, provocation, action. 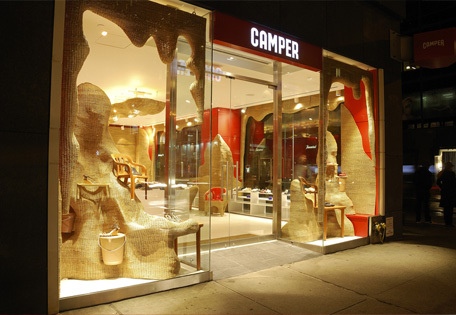 The Camper stores designed by the Campana brothers contain a declaration of principles: it's time for an attitude adjustment. These siblings are Brazil's most widely acknowledged designers. 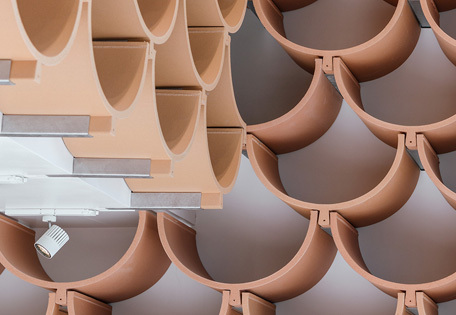 Trained as a lawyer but a sculptor at heart, Humberto began to design objects using the humblest of materials, unwittingly creating the design concept that would later make him famous. In 1983 Fernando completed his degree in Architecture and joined his brother. 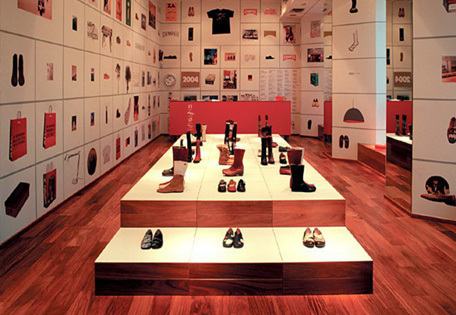 The exhibition Desconfortáveis (Museu de Arte de São Paulo, 1989) catapulted them to international success. 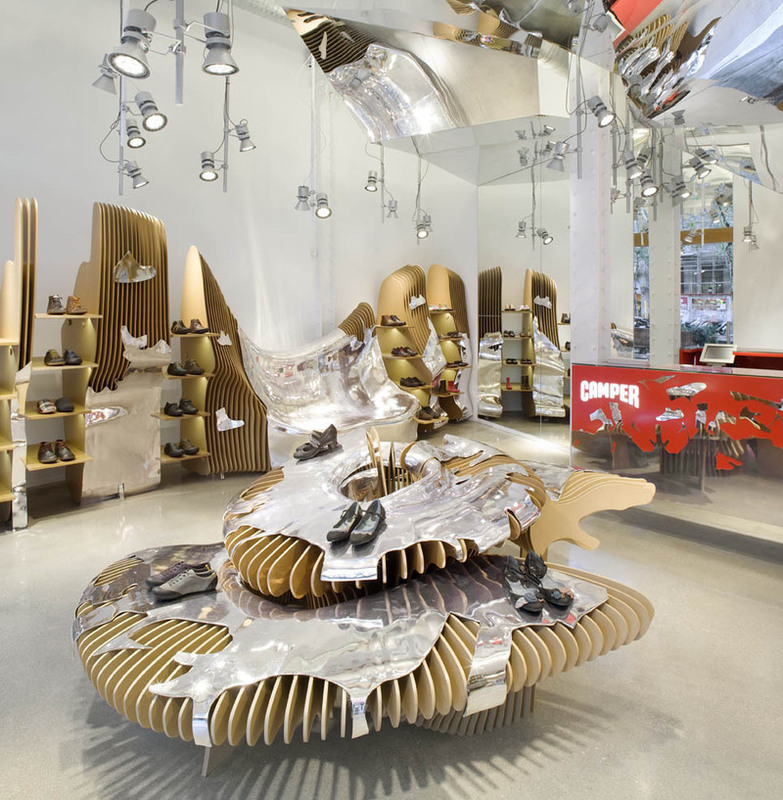 They have since worked for firms such as Fontana Arte, Vitra and Alessi. The brothers have received several prestigious distinctions, most notably the George Nelson Design Award and Designer of the Year 2008 at Design Miami. Today their work can be found at the Cooper-Hewitt National Design Museum, the Musée des Arts Dé coratifs and the Vitra Design Museum. 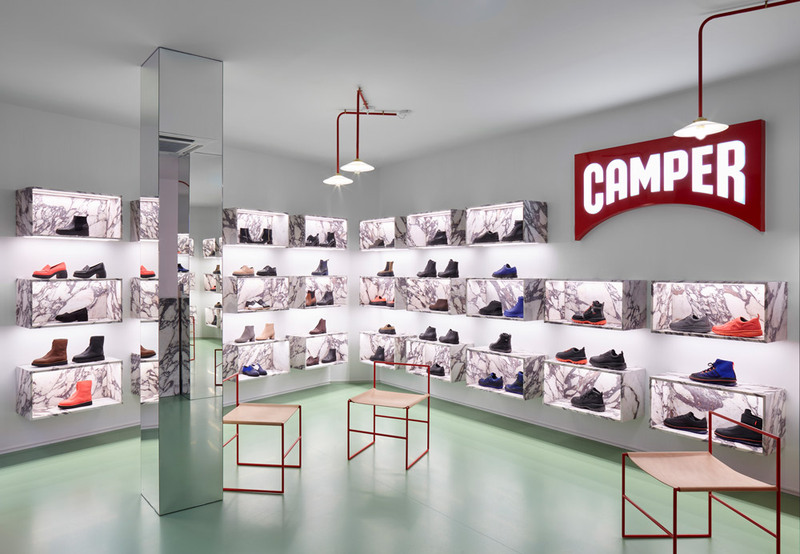 Every Camper store designed by Alfredo Häberli is a different mise-en-scène in which he integrates the shoes as linchpins of a refreshing new discourse. 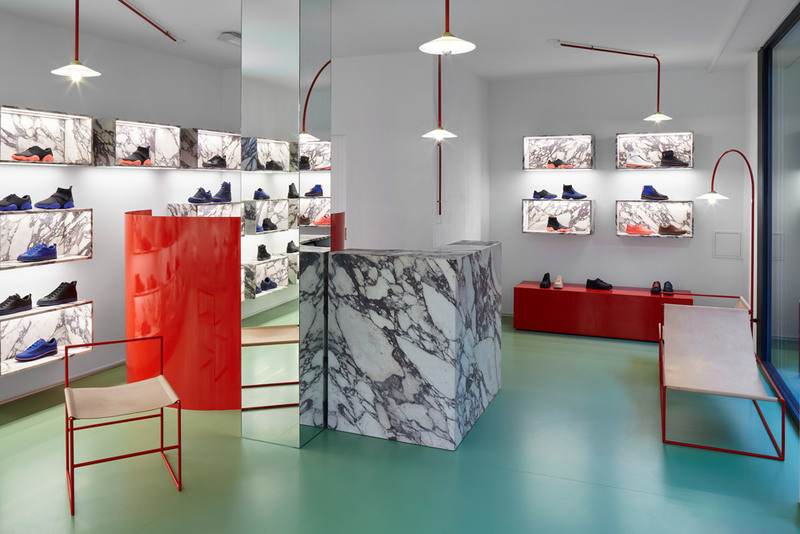 Häberli suggests playfully engaging universes where aesthetic quality is mixed with humour and ingenuity, settings that speak of creative freedom, uncommon spaces designed to hold uncommon footwear. Alfredo Häberli is one of the most charismatic figures in contemporary design. Born in Argentina and educated in Switzerland, he earned stellar marks at the Zurich School of Design. He settled down in Zurich and began to work with iconic Scandinavian and European firms such as Kvadrat, Moroso, Vitra, Volvo and Zanotta, creating projects that brought him international recognition. His professional career as a designer was featured in Surround Things at the Museum für Gestaltung, Zurich, in 2008 and a one-man show at the Cologne International Furniture Show in 2009. 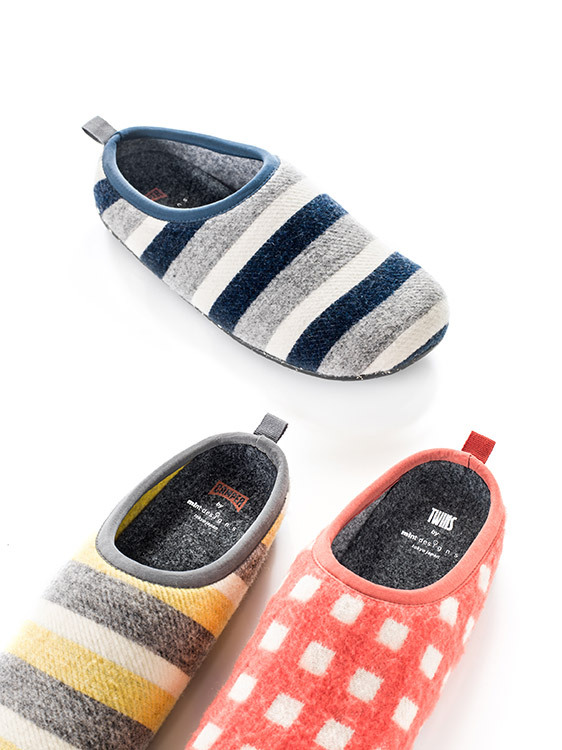 His work has won distinctions such as the Excellent Swedish Design Award and the Japanese prize Zakka of the Year. In 2002 he received the iF Design Award, in 2004 he was proclaimed Designer of the Year in Paris, and in 2005 he won the Design Preis Schweiz. Alfredo Häberli was guest of honour at the 20th Biennale Interieur in Kortrijk, Belgium, and was named Designer of the Year 2009 at IMM Cologne. Berlin, Barcelona, Tokyo, St. Petersburg... 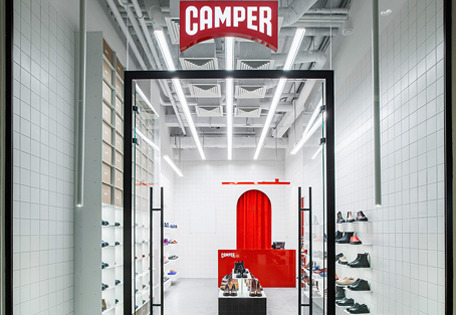 Located in some of the most cosmopolitan cities on the planet, the Camper stores designed by Konstantin Grcic invite you to slip on a pair of shoes and hit the streets. The designer recreates the language of the urban landscape in these spaces of elegant expressionist simplicity. 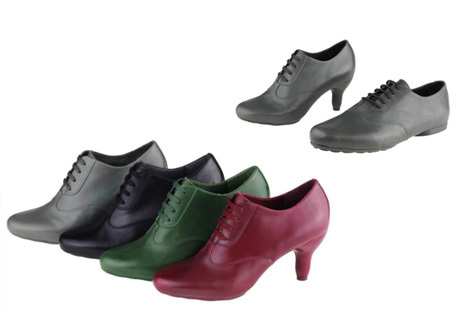 The shoes are works of art, displayed on pedestals against the brick walls. A map of the city and a message on the wall encourage shoppers to walk out and explore the streets. After studying in England and working with Jasper Morrison, Grcic opened the KGID office in Munich. The unusual blend of German tenacity and British irreverence became the hallmark of his designs, which brought him international fame. 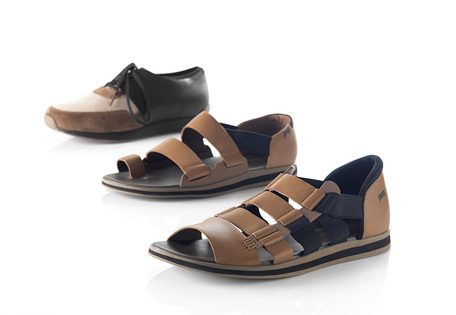 In the course of his career, Grcic has worked with prestigious firms and labels like Authentics, Magis, Muji and Vitra. He has received numerous awards, and his work can be found at the MoMA, the Art Institute of Chicago and the Centre Pompidou. 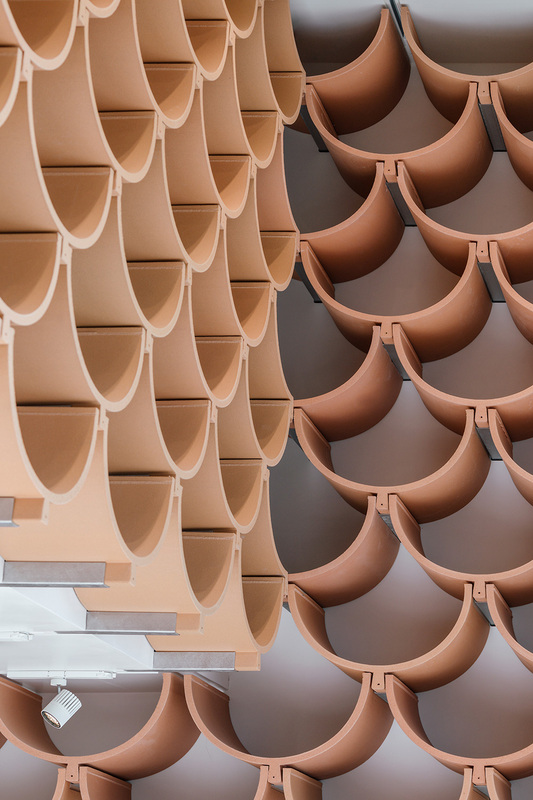 Ronan y Erwan Bouroullec, Brittany, France, 1974 and 1976. 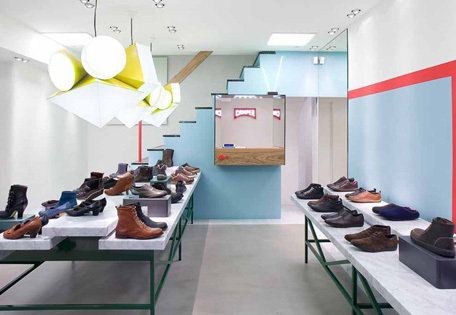 The stores that Camper and the Bouroullec brothers create together are places where functionality and beauty, technology and craftsmanship, fantasy and common sense converge. The sensation caused by the materials is paramount. The goal is to achieve a warm, deep setting where seeing is feeling: emotion in the what and rigour in the how. Exquisite sensibility meets a hailstorm of ideas. These brothers are two of the most admired French designers of the 21st century. Educated at the School of Decorative Arts, Paris, and the National School of the Arts, Cergy, they were discovered in 1997 by Giulio Cappellini. Their discretion has made them famous, and their work has earned them international recognition. 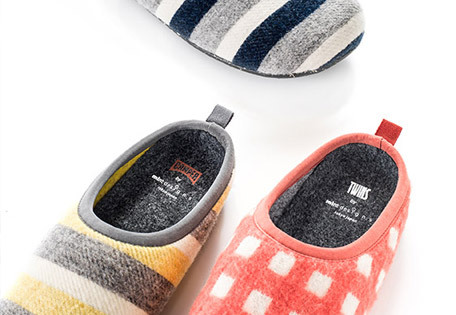 They have worked for firms such as Vitra, Alessi, BMW, Issey Miyake and Kvadrat and won distinctions such as the New Designer Award (ICFF, New York, 1999) and Designers of the Year (2002, 2011 and 2013). Their work can be found at the MoMA, the Centre Pompidou, the Design Museum (London) and the Art Institute of Chicago, among other venues. 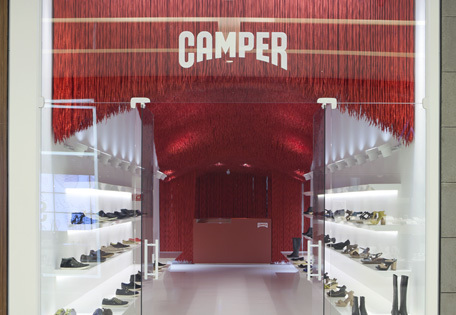 When Michele De Lucchi joined the Together project, he turned to the most provocative stage of his brilliant career to design venues that could only be Camper stores. 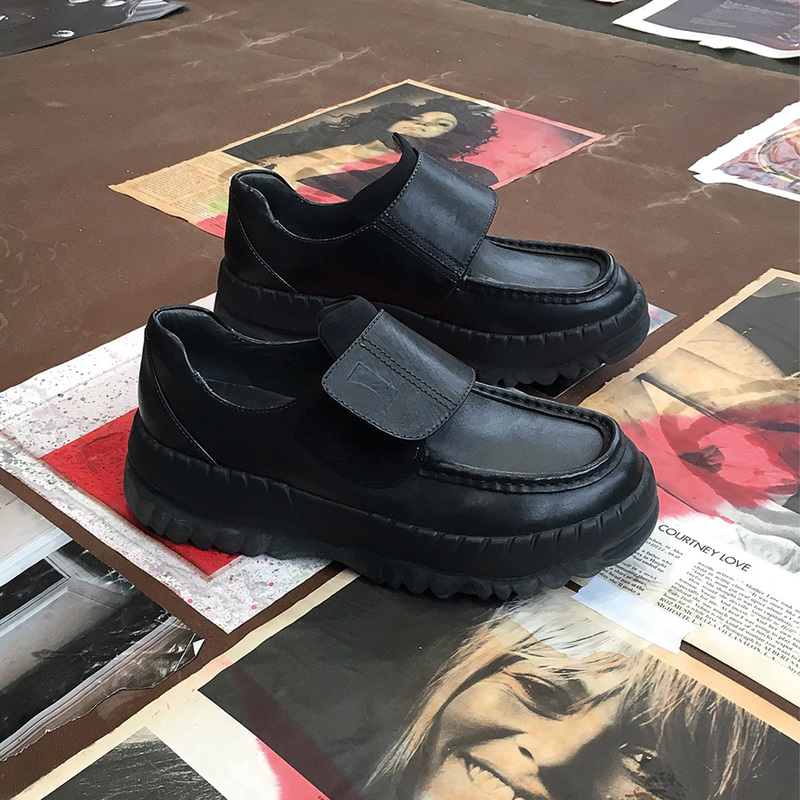 The architect/designer and the footwear brand resurrected the legendary 80s style of Memphis and materialised it in the space with impeccable rigour. Technical talent with an emotional response: in De Lucchi's own words, "the connection that distinguishes a good design". 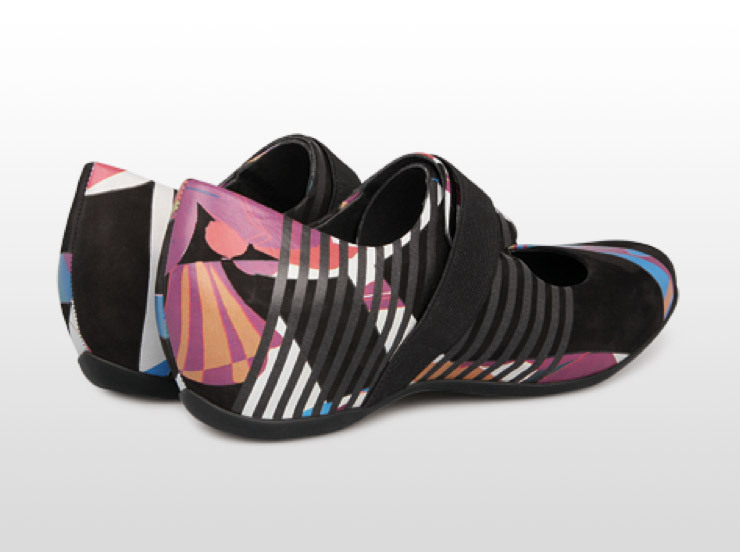 "From radical, non-conformist designer to internationally famed creator." After graduating with a degree in Architecture from the University of Florence in 1975, Michele De Lucchi's activism soon positioned him at the forefront of Italian experimental design collectives in the 1980s, most notably Memphis, a highly influential group founded by Ettore Sottsass. In the course of his professional career, he has designed architectural projects in Japan, Germany and Italy, creating structures such as the Milan Triennale Design Museum, the Palazzo delle Esposizioni in Rome, the Neues Museum in Berlin and the Gallerie d'Italia in Piazza Scala, Milan. He also teaches at universities in Venice, Milan and Florence. In the field of industrial design, De Lucchi collaborates with Olivetti, develops experimental projects for Compaq Computers, Philips, Siemens and Vitra, works for firms such as Vistosi, Haworth, Fontana Arte, Artemide, RB Rossanan, Arflex and Acerbis, and designed the legendary Tolomeo lamp. Among De Lucchi's many distinctions are the Compasso d'Oro, the G-Mark (Good Design Award, Japan), Design Plus, Design Team of the Year (Germany, 1997) and the iF Design Award. His work is found in museums around the world, including the Vitra Design Museum in Weil am Rhein, Museo Alessi, Museo Kartell, National Gallery of Victoria (Melbourne, Australia), Museum für Gestaltung (Zurich, Switzerland), Art Center College of Design (California, USA) and the Museum of Fine Arts, Boston (USA). In 2003 the Centre Pompidou in Paris acquired a considerable part of the prolific creator's output. "I create designs that inspire, touch and speak to the heart" (Tokujin Yoshioka). 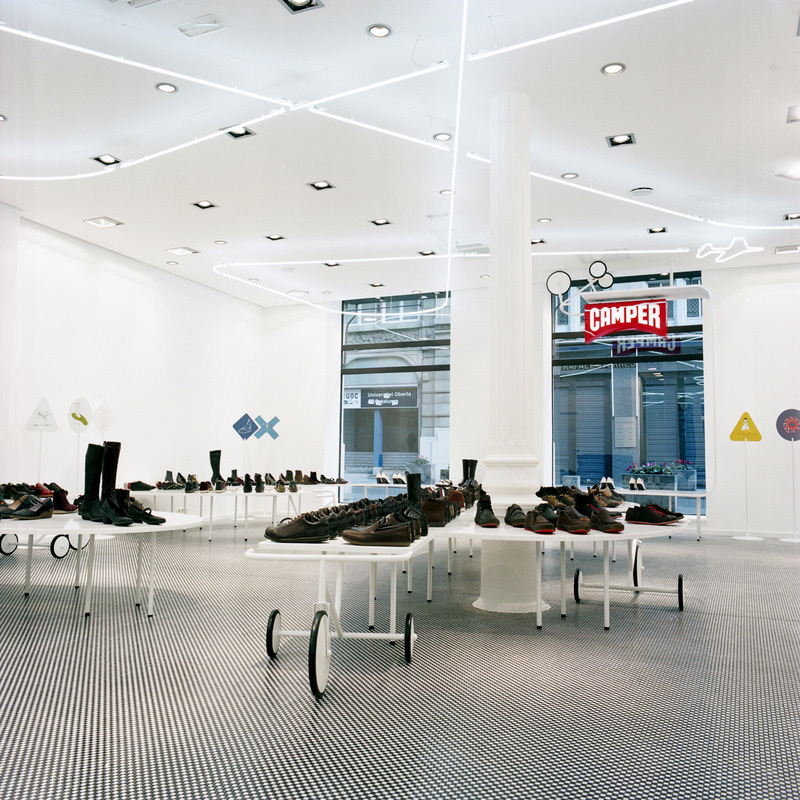 When Camper and Tokujin Yoshioka work together, emotionally stirring spaces emerge. Looking to his habitual source of inspiration, nature, the designer floods the premises with soft textures, bright colours and organic forms, where seeing becomes a tactile experience. Walls resembling wildflower carpets. Chairs like rose petals. 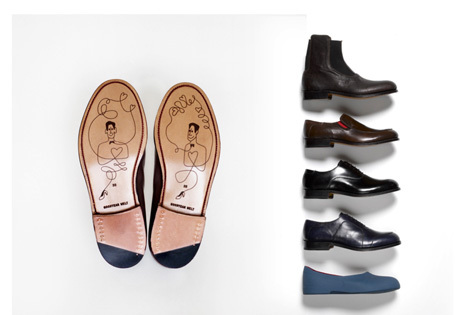 A festive atmosphere where the shoes step up to play the perfect hosts. Acknowledged as the most influential designer with the greatest impact on the world's creative scene, Yoshioka defines himself as "the designer who learned from nature". 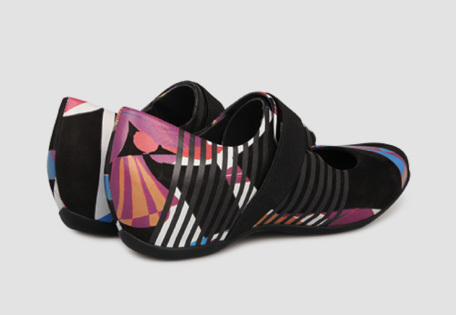 In 1987 he worked with Shiro Kuramata, and in 1998 he began collaborating with Issey Miyake. In the year 2000 he founded Tokujin Yoshioka Design, where he currently develops experimental projects and creates memorable designs for brands like Hermès, Toyota and Moroso. His iconic Honey-Pop Chair can be found in the collections of the MoMA, the Victoria & Albert Museum, the Cooper-Hewitt National Design Museum, the Centre Pompidou and the Vitra Design Museum. 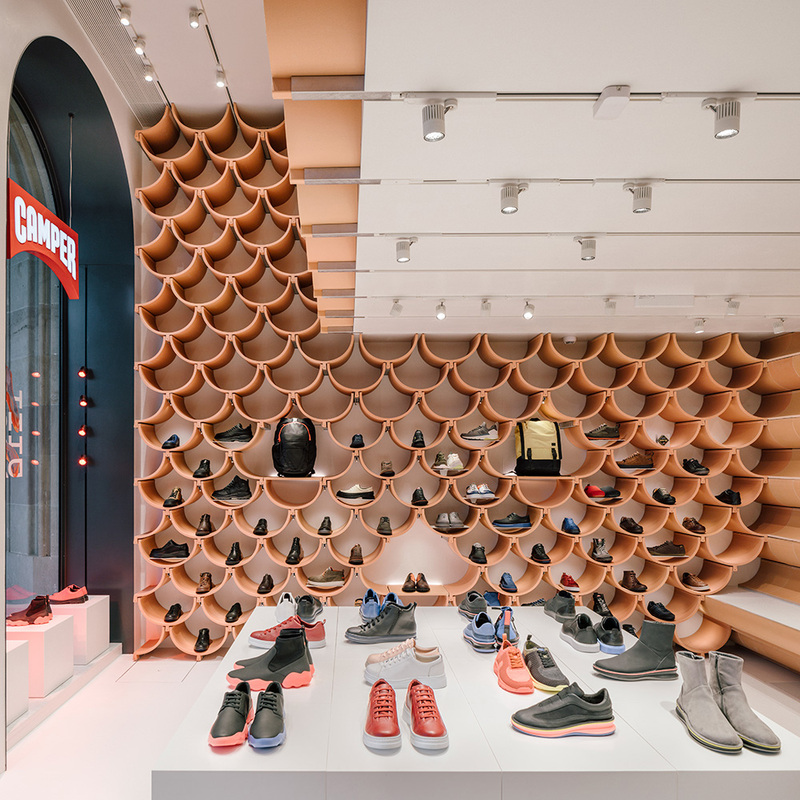 When Camper enlists the assistance of Benedetta Tagliabue, she obliges by creating spaces as luminous as the Mediterranean, furnished with disconcerting volumes whose forms, we suddenly realise, are vaguely reminiscent of shoe shapes. Her materials are simple, her lines organic, and her intentions bold. 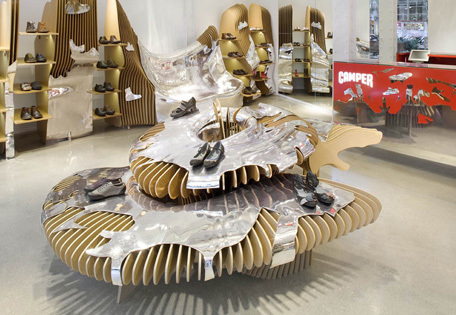 Benedetta Tagliabue takes the creative, vital essence of Camper and combines it with her audacious designs to create truly memorable spaces. 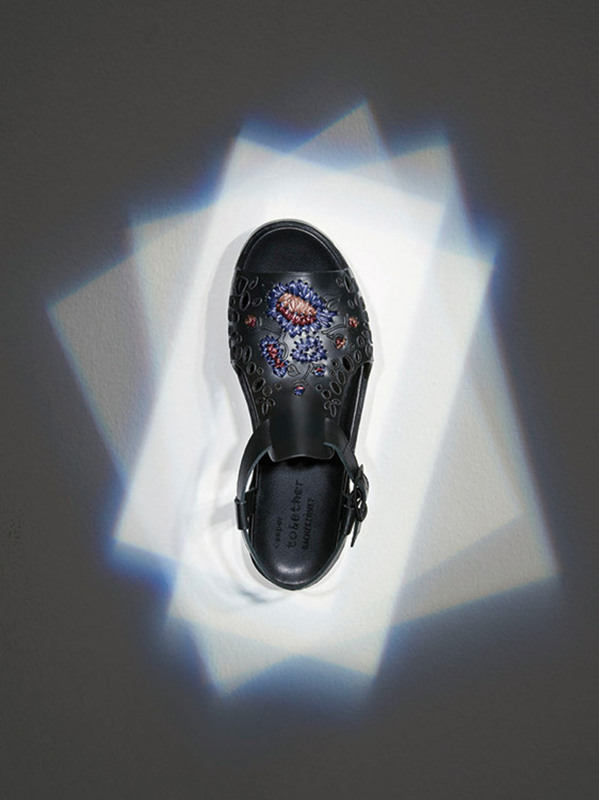 Benedetta Tagliabue's unique style has brought her international renown. She earned a degree in Architecture from the University Institute of Architecture of Venice (IUAV), in 1989. In 1991 she went into partnership with Enric Miralles, an architect from Barcelona known for the visual tension of his work, and founded a new studio called Miralles Tagliabue EMBT. After Miralles passed away, Tagliabue continued their work and remained true to their signature style, completing internationally acclaimed projects such as the Scottish Parliament building in Edinburgh, Utrecht Town Hall, the Hafencity port district in Hamburg, the Spanish Pavilion for Expo 2010 Shanghai, and the Mercat de Santa Caterina in Barcelona. This architect is a visiting professor at Harvard University, Columbia University and the University School of Architecture of Barcelona (ETSAB), and the recipient of distinctions such as the RIBA (Royal Institute of British Architects) Stirling Prize for Best Building, the RIBA Fellowship in 2009, and the RIBA Jencks Award in 2013. In 2004 she received an Honorary Doctor of Arts degree from Napier University in Edinburgh, Scotland. Her work has been exhibited at the MoMA, the Centre Pompidou and the Venice Biennale. 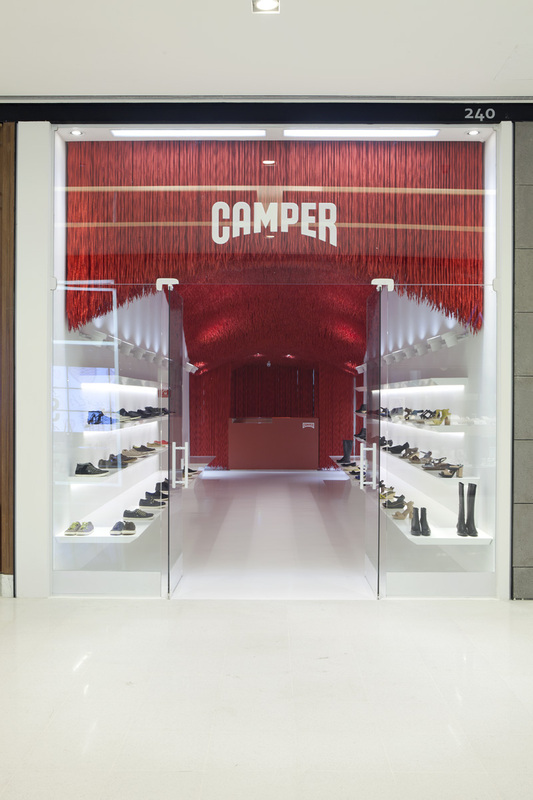 Camper teams up with the talent of Tomás Alonso to design stores in different capitals around the world. This designer uses a unique system of tiles combined in various ways to create striking geometric patterns. 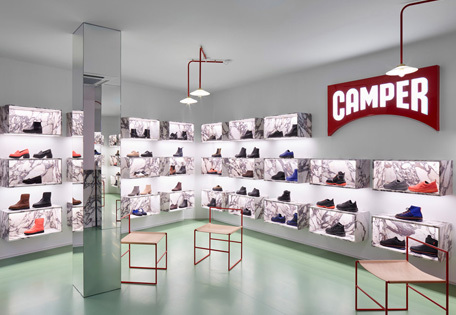 In the Camper venues designed by Tomás Alonso, ceramic ledges jutting out from the wall support the brand's singular footwear, offering an aesthetic banquet embellished by furnishings of covered steel, American oak and Italian lamps. After graduating from the Royal College of Art in 2006, Tomás Alonso joined five young creators of different nationalities and founded the OKAY Studio collective. 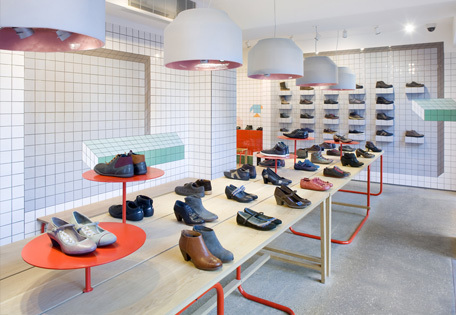 At the London studio, this Spanish designer is known for his ability to combine commercial design and research in his work. His personal creations have been exhibited at galleries that are open to up-and-coming artists, such as NextLevel, Aram and Whitechapel. 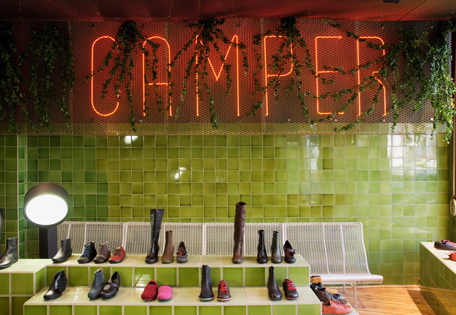 Camper has embraced Marko Brajovic's eclectic style and incorporated it in its stores. This designer draws inspiration from popular Brazilian festivals to design settings where the party spirit and chromatic intensity establish a radical harmony with stern, white spatial simplicity. 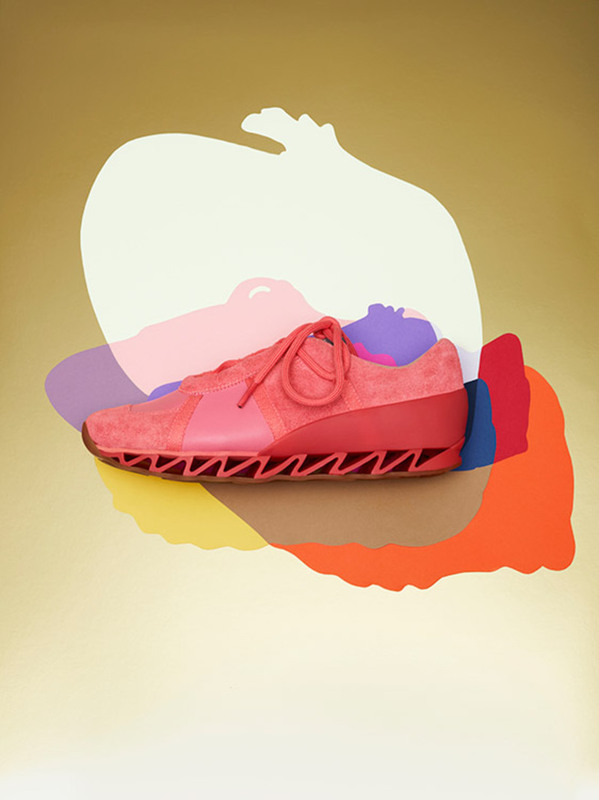 At Atelier Marko Brajovic, designers have fun combining concepts like minimalism and folklore which, though seemingly contradictory, end up forming spaces of surprising aesthetic coherence. Marko specialised in biomimetics and interactive technology at the University Institute of Architecture in Venice, and in Barcelona he graduated from the Pompeu Fabra University Audiovisual Institute with a degree in Digital Arts, completed a master's degree in Genetic Architecture and founded the Toogood Creative Agency with Federica Sandretti. He attended a workshop organised by the Mamori Art Lab in the Brazilian Amazon and explored the use of alternative materials, which led him to design furniture with bamboo veneer for Kovagi and Tiva Design . In 2006 he moved to São Paulo, where he was named director of the IED Department of Interior and Industrial Design and founded the multidisciplinary studio Atelier Marko Brajovic. He is a lecturer, multimedia artist, designer and environmental activist. Brajovic has created a wide variety of installations and set designs, including the Brazil Pavilion at Expo 2010 Shanghai, the Sebrae Design Award, Palacio das Artes, Belo Horizonte, 2012, the Google Creative Sandbox, São Paulo, 2012, the Samsung Tree at the JK Iguatemi shopping centre, São Paulo, 2012-2013, Everstone Skin, MIS São Paulo, 2012, the Coletivo Amor de Madre stand at Design Days Dubai, 2013, and Brazil S/A 2013 at Palazzo Giureconsulti, Milan, 2013. 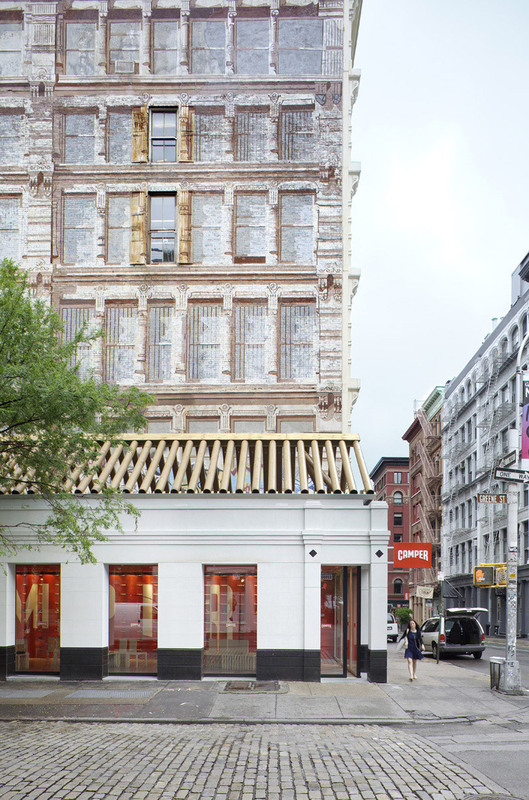 When Camper and Shigeru Ban collaborate, the results make it obvious that the architect and the brand are on the same wavelength. This Japanese designer uses materials in surprising ways, giving them new meaning and developing his own constructive system to create spaces of stunning simplicity. Artifice is nowhere to be found. 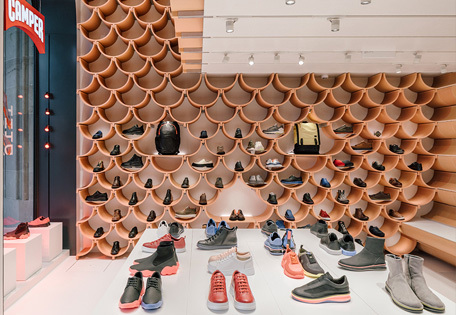 The surfaces seem endless, extending outside the shop to connect with the street. Boundaries and walls mean nothing to this artist. "One of the key innovators for the 21st century" (Time Magazine). 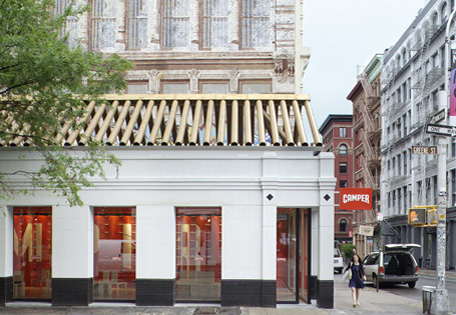 After studying architecture at the University of Southern California and the Cooper Union School of Architecture in New York, Shigeru Ban completed his training at the firm of Arata Isozaki. This eco-architect is known as a pioneer in the use of recyclable materials and an innovator in the field of ephemeral architecture, noted for the structural and spatial simplicity of his designs and admired for his humanitarian engagement. He is the author of such iconic works as the paper homes and church in Kobe, the Japan Pavilion at Expo 2000 in Hannover, the Centre Pompidou-Metz and the Cardboard Cathedral completed in 2013 in Christchurch, New Zealand. His brilliant career is studded with achievements and distinctions: Honorary Fellow of the Royal Architectural Institute of Canada and the Royal Institute of British Architects, Honorary Doctorate from the Technical University of Munich, Doctor of Humane Letters from Amherst College, founder of the Voluntary Architects' Network NGO, consultant of the UN High Commissioner for Refugees (UNHCR) , Pritzker Prize jury member, visiting professor at Cornell and Harvard, etc. His work has been honoured with numerous awards and acknowledgments, including l'Ordre des Arts et des Lettres, the Auguste Perret Prize in France and the 2013 Aga Khan Architecture Award for his post-tsunami housing project in Sri Lanka. 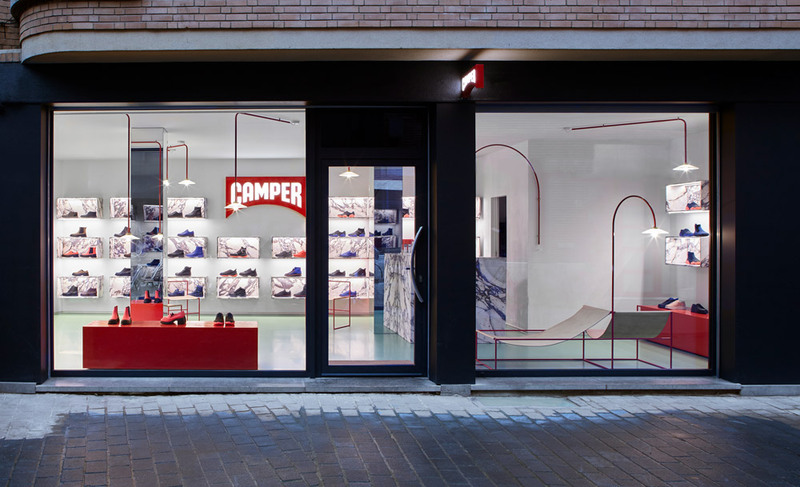 Camper and Nendo have teamed up to create spaces that have something new to say, that speak of imagination and avant-garde, of experimentation, humour, courage, culture and freedom. In Nendo's capable hands, the Camper message is materialised as a dazzling show. 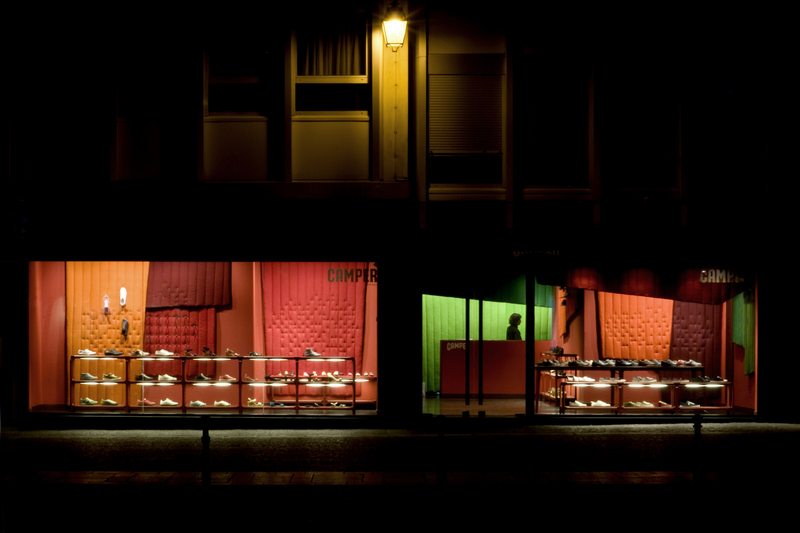 They create carefully staged environments with stories to tell, tales starring unusual shoes that float weightlessly in fantastic dreamscapes. 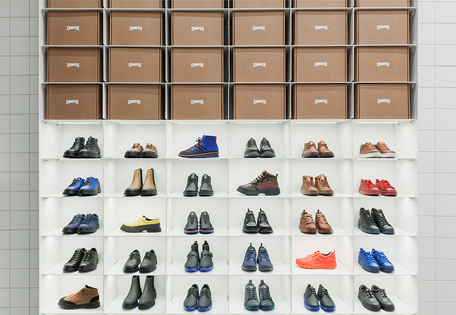 Oki Sato, who has been called the "21st century's most ingenious designer", studied architecture at Waseda University in Tokyo, the city where Nendo was created in 2002. At his design studio, Sato tackles singular projects with a highly personal vocabulary that has positioned him at the vanguard of international design, working with firms like Boffi, Bisazza, Cappellini, Driade, Guzzini, Hermes, Kartell, Issey Miyake, Moroso and Louis Vuitton. 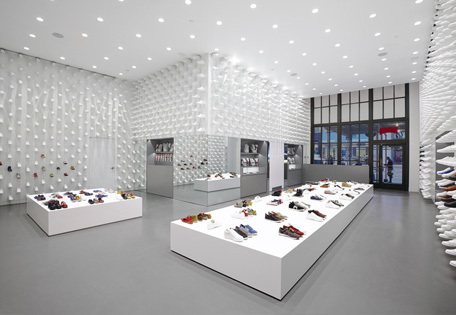 Nendo and Sato received the Designer of the Year Award from Wallpaper magazine in 2011, among other distinctions. 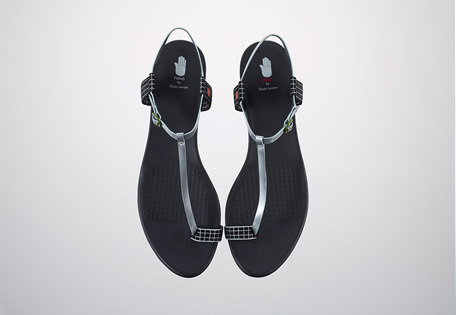 The studio's designs can be found at the MoMA and the Centre Pompidou. 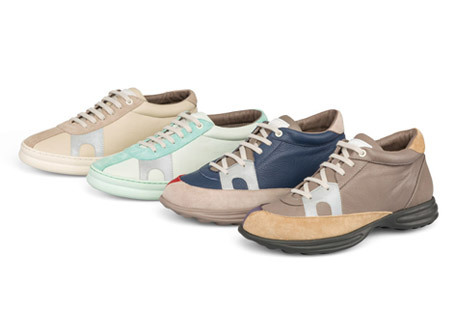 Camper's affair with Bernhard Willhelm is a thrilling, enduring passion that never fails to produce designs which are out of the ordinary. 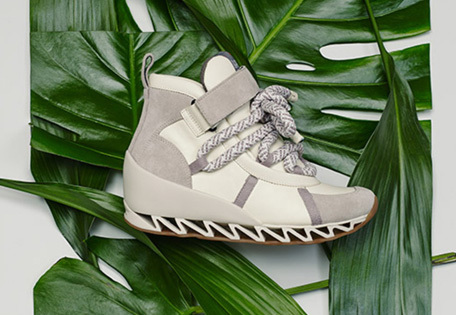 Using anything from surfboards to an 80s look as inspiration, the designer comes up with ideas for groundbreaking footwear, and Camper eagerly rises to the challenge of materialising his concepts. Unbridled creativity and feats of technical prowess. 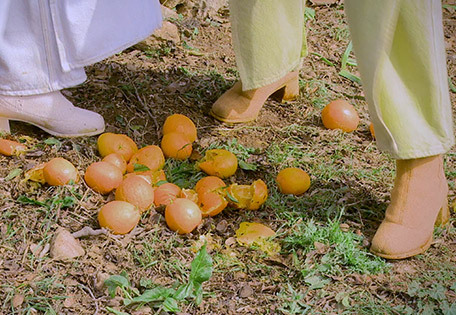 Bernhard Willhelm says that he sees Camper "as an orange grove". For Camper, the artist is an evocative acid trip. Provocative, fun, brazen, unpredictable, eclectic: pure genius. After graduating from the Royal Academy of Fine Arts, Antwerp, in 1988, Bernhard Willhelm worked as an assistant in the fashion firms of Walter van Beirendock, Alexander McQueen, Vivienne Westwood and Dirk Bikkembergs. 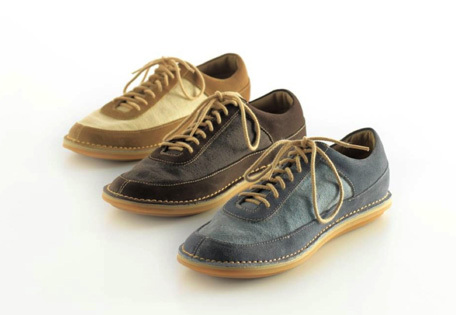 In 1999 he created his own label with business partner Jutta Kraus. That same year he presented his first collection in Paris, where the team opened an office in 2002. Bernhard Willhelm is linked to the world of style and art, working with artists like Nick Knight and Björk, and he is a fixture in publications such as Flashart, Dazed & Confused, Fashion Daily News and Ten Magazine. Clara Leskovar, Berlín. Doreen Schulz, Thüringen. The aesthetic influence of the Bauhaus, Viennese ateliers, Art Deco and Russian Constructivism is perceptible in the vibrant style of C. NEEON. 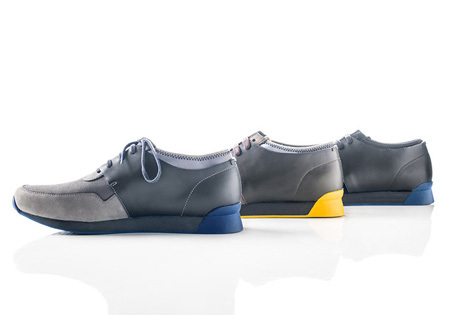 In the label's collaborative projects with Camper, asymmetrical shapes, intriguing volumes, an architectural feel, contrasting colours and print patterns converge in a unique proposal that reflects the German designers' main source of inspiration: the multiple facets, subcultures and dynamic energy of Berlin. 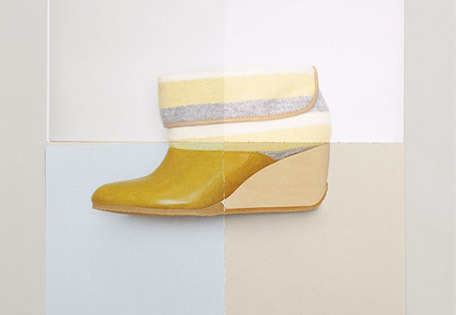 Clara and Doreen studied Textile Design and Fashion Design, respectively, at the School of Art and Design Berlin-Weissensee, an interdisciplinary art academy inspired by the Bauhaus. 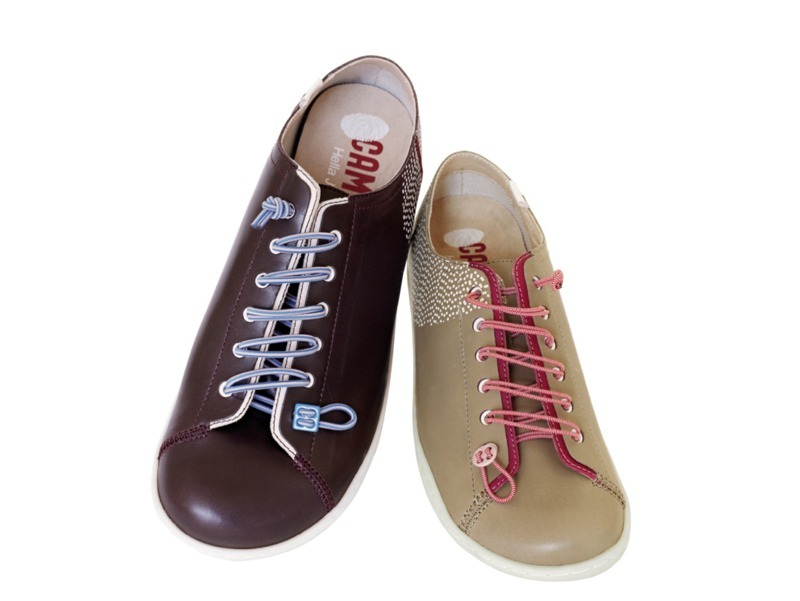 They began working together in 2001, and in 2004, while still students, they created C. NEEON. Barely one year later, they won the Grand Prix at the Hyères International Fashion & Photography Festival—one of the most prestigious awards for young fashion designers in Europe—and participated in moDe!, a fashion event organised in Tokyo to celebrate the Year of Germany in Japan. In 2006 the Berlin Kunstgewerbemuseum hosted an exhibition of their collection, consecrating the design duo as pivotal figures on the Berlin fashion scene. 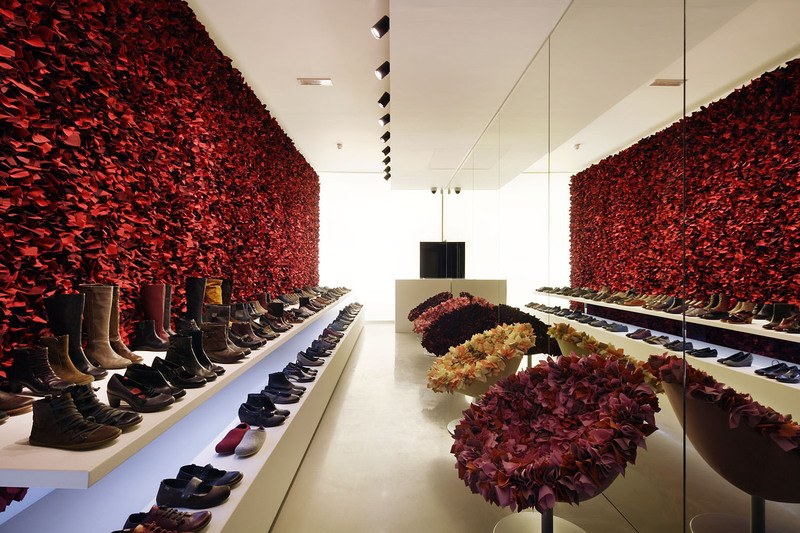 Their collections can be found in boutiques in New York, Tokyo, Osaka, Kuwait, Moscow, Toronto and Berlin. 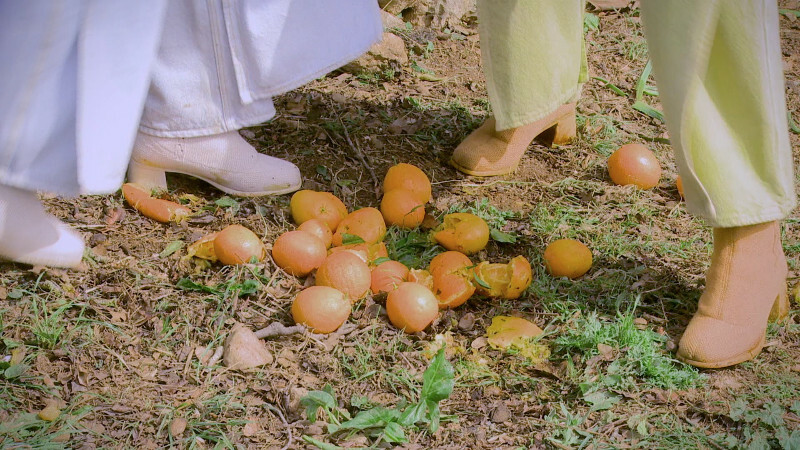 The success of the Capara sisters is rooted in the cultural underpinnings of their design work. 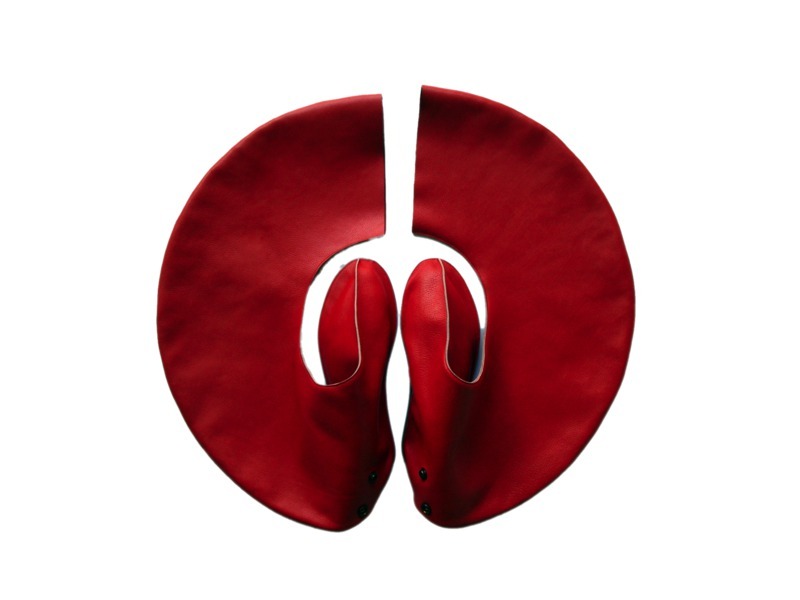 The raw materials of these talented creators are socio-anthropological themes borrowed from literature, film, music and current affairs, and the quest for new forms, proportions and techniques is the tool of their trade. 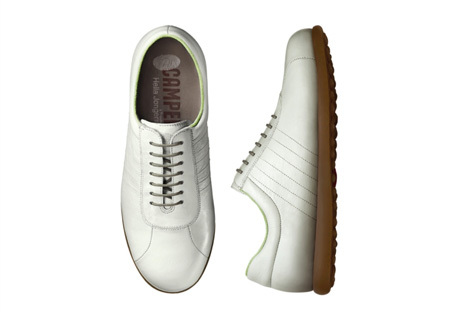 Their collaborations with Camper have produced shoes that are a combination of structural innovation and elegance. 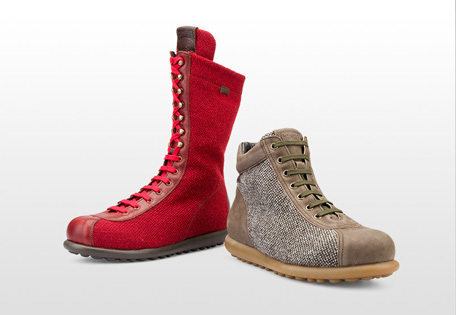 This bold look identifies them as true Camper Together. Vera and Olivera earned their degrees in Fashion from the Royal Academy of Fine Arts, Antwerp, in the year 2000 and immediately joined the Dries van Noten studio in Antwerp as design assistants. In 2003 they moved to Paris, where they worked for the designer Martin Margiela, and three years later they presented their first collection at Paris Haute Couture. 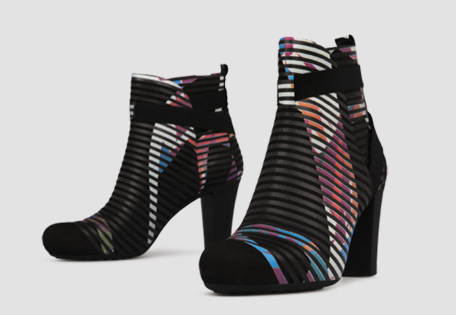 After building a career based on collaborations with various prestigious firms, in 2009 they founded Capara, the label that would allow them to develop their own visual universe. The most thrilling thing about Doshi Levien is undoubtedly their disparate cultural backgrounds: Doshi loves craftsmanship, tradition, detail and ritual, while Levien is enamoured of technology, functionality and precision. 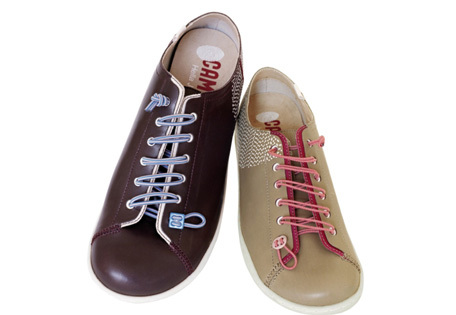 And Camper can't get enough of the creative power that flows from this marriage of opposites. 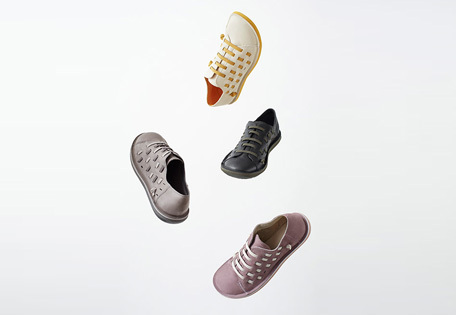 In their partnership with Camper, the designers channel their enthusiasm into developing shoes that are the embodiment of symbiosis. 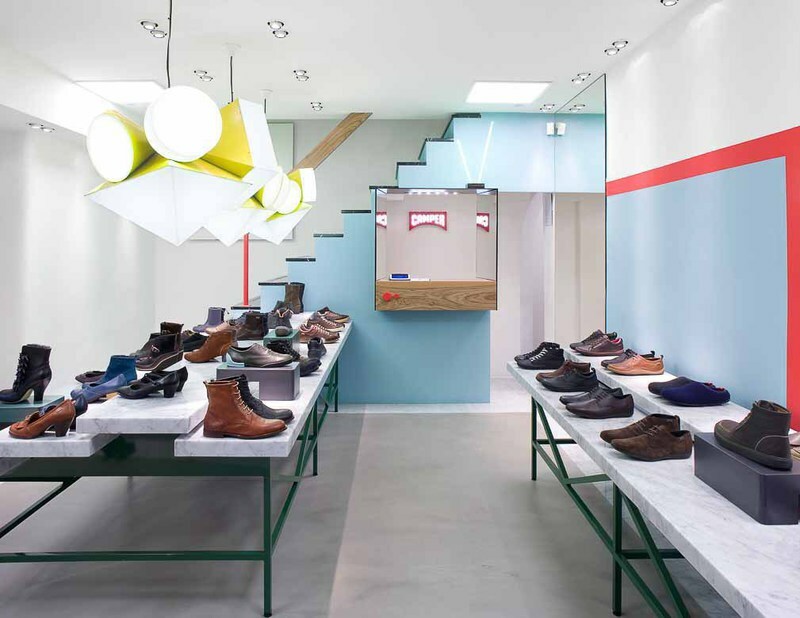 Industry and craftsmanship, tradition and contemporaneity, high-tech and low-tech... 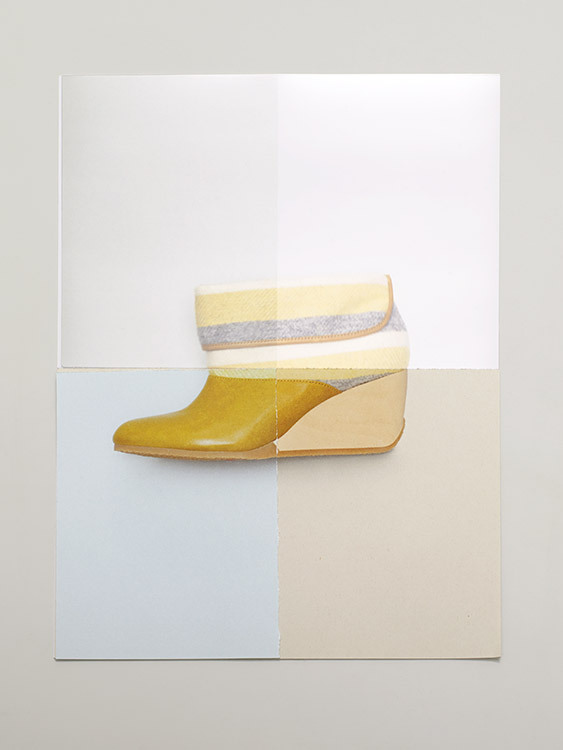 Opposing elements are a key creative concept in the work of Hella Jongerius. 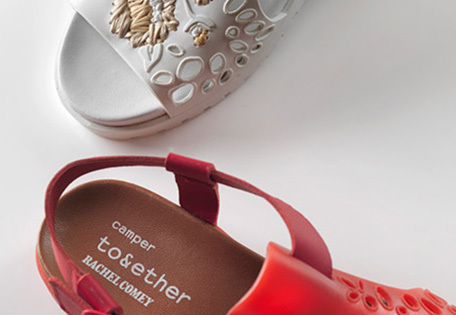 In joining the Together project, this designer has given a brand-new twist to some of Camper's most iconic models. The results are colourful, bold designs full of contrasts whose visual appeal demonstrates the artist's ability to create beauty out of contradiction. 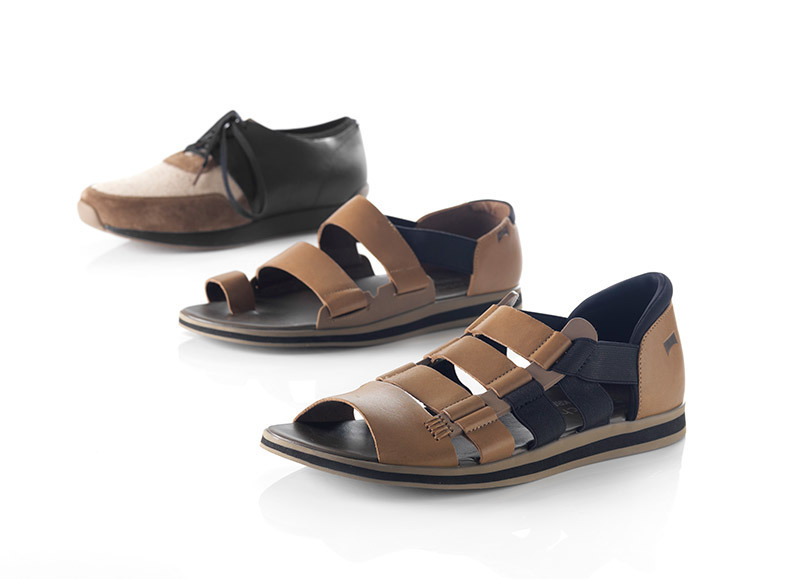 Hella Jongerius is known around the world as one of the leading designers of her generation. 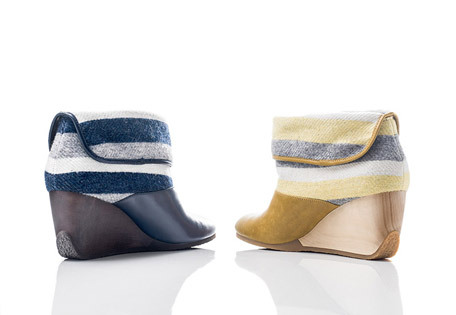 She earned her degree from Design Academy Eindhoven, specialising in Industrial and Textile Design. 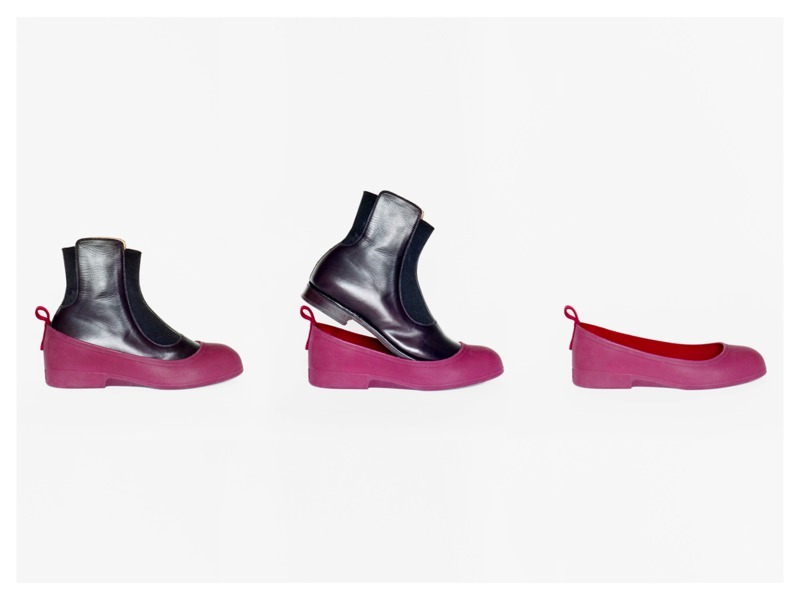 In 1993 she opened the Jongeriuslab laboratory/studio in Rotterdam, where she creates her own designs by experimenting with combinations of opposing concepts, such as the deliberate imperfection of craftsmanship and industrial manufacturing, or contemporary aesthetic and traditional style. 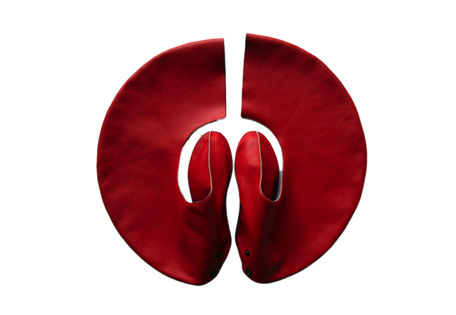 Her singular work soon caught the attention of leading names like Maharam, KLM, Vitra and Royal Tichelaar Makkum, and her creations are now exhibited in museums and galleries such as the Cooper-Hewitt National Design Museum and the MoMA in New York, the Design Museum London and Galerie KREO in Paris. Jaime Hayón's unconventional mind dreams up extraordinary designs, from furniture and clocks to lamps and toys, whose aesthetic draws us closer to the world of magic, fairy tales and dreams. 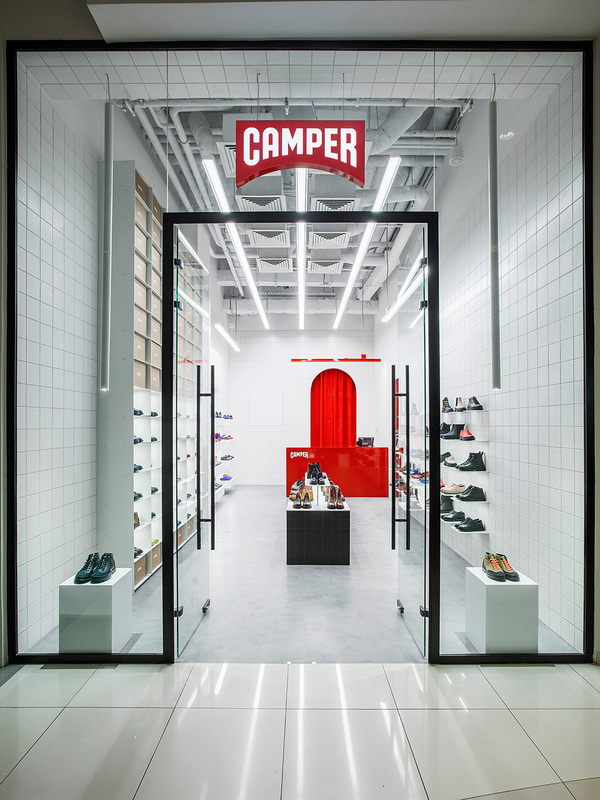 Camper embraces that world of talent by joining forces with the designer to come up with shoes in which fantasy contrasts with technical precision. 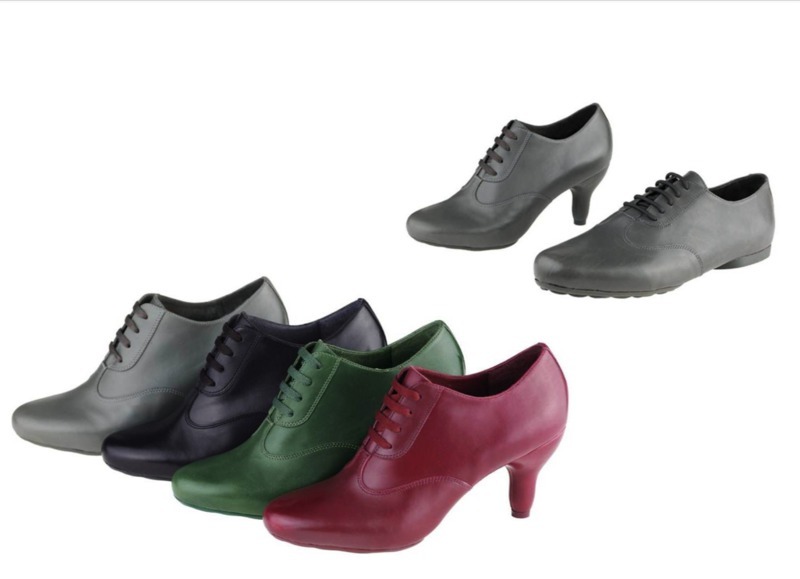 Illusion and function, emotion and locomotion rolled into one. Jaime Hayón is considered one of the 100 most important and influential artists of our time. After studying Industrial Design in Madrid, in 1997 he joined Fabrica—the iconic centre led by Oliviero Toscani—where he worked as director of the Design Department until opening his own studio in 2004. 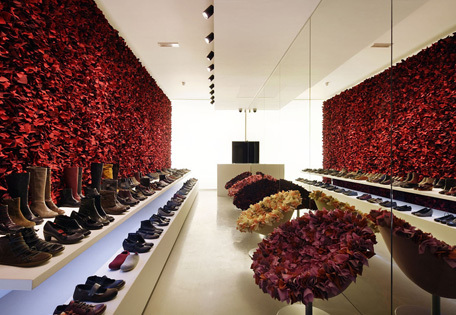 His studio currently has offices in Italy, Spain and the United Kingdom. Jaime Hayón's outrageous style has attracted clients like ArtQuitect, Metalarte, BD Barcelona Design, Bosa, Bisazza, Baccarat, Fritz Hansen, Fabergé, Moooi and Ceccotti. He exhibited at the David Gill Gallery in London and the Spanish Embassy in Tokyo during Designers Week 2013, and his surprising furniture, products, sculptures, interiors and installations can be found in venues around the world, such as the Chengdu Museum of Contemporary Art, Galleria Rossana Orlando in Milan, the Groninger Museum, Galerie Kreo in Paris, the Vitra Design Museum, the Aram Gallery and the Design Museum London. 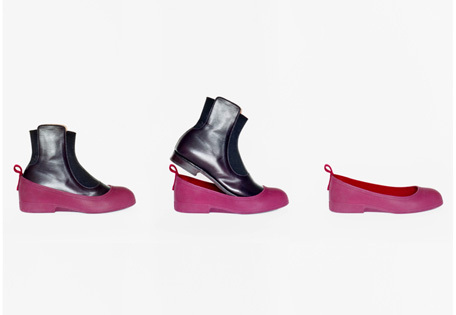 His latest creations are on display at the Spazio Hayón in Milan. Among Hayón's many distinctions are the Elle Deco International Award (2006), "Best Fixer-Upper" in the 2013 Wallpaper Design Awards, and guest of honour at the 2008 Biennale Interieur in Belgium. In 2012, he was named Curator of the Year for all eight Blickfang exhibitions. "Creativity must be put to good use" (Jasper Morrison). Whether designing a lamp, a plate, a tram or a new version of a shoe, this creative genius rejects the notion of "design for design's sake"; instead, he strives to find essentiality, functionality and normality. 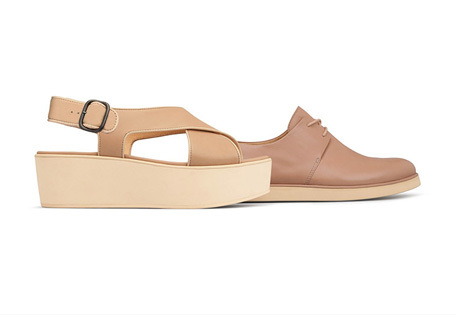 Jasper Morrison's version of the legendary Camper Camaleón proves that simplicity can be unpredictably brilliant. The designer's message is crystal clear: "Simplify." After studying design at Kingston University and the Royal College of Art in London, Morrison went on to enrol at the Berlin University of the Arts (UdK). On returning to the British capital he opened his own studio, where he created the iconic Thinking Man's Chair for Cappellini that brought him international fame. 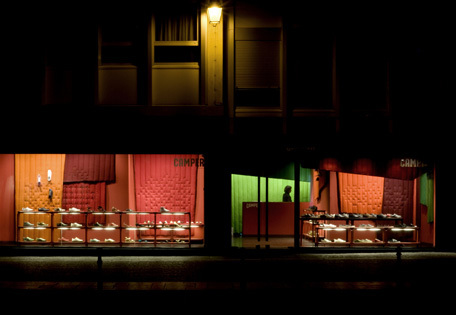 Since then he has worked with Alessi, Canon, Sony, Vitra, Olivetti, Muji and other firms. He has participated in installations like "The State of Things" (Design Year Book 1999) and has held solo shows at the Axis Gallery and the Yamagiwa Centre in Tokyo. 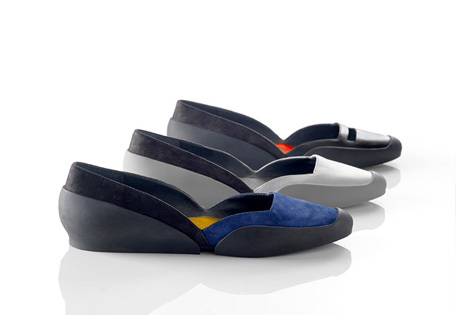 He was named Designer of the Year 2000 at the Paris Design Fair and has received several other awards. 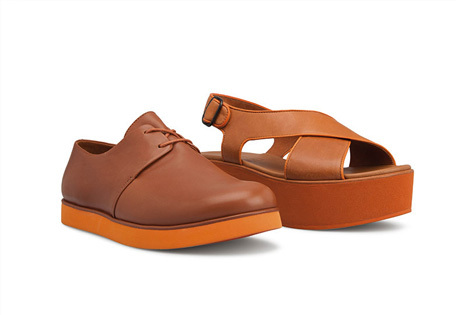 Jasper Morrison was the forerunner of "New Simplicity" and is the co-founder, with Japanese designer Naoto Fukasawa, of "Super Normal", two movements that advocate simple, functional design and the importance of everyday objects. 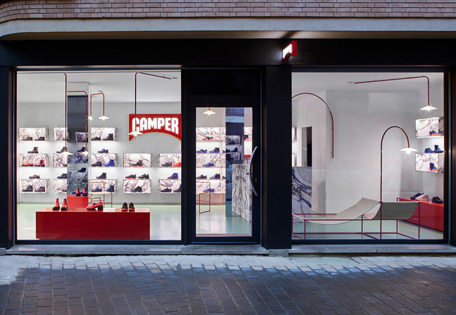 Camper and Kvadrat have a great deal in common: the ambition to do things differently; the determination to break through aesthetic and technological barriers; respect for good design, which both brands demonstrate by working with some of the best creative minds in the world; and the ability to develop products that become universal symbols of creativity and innovation. 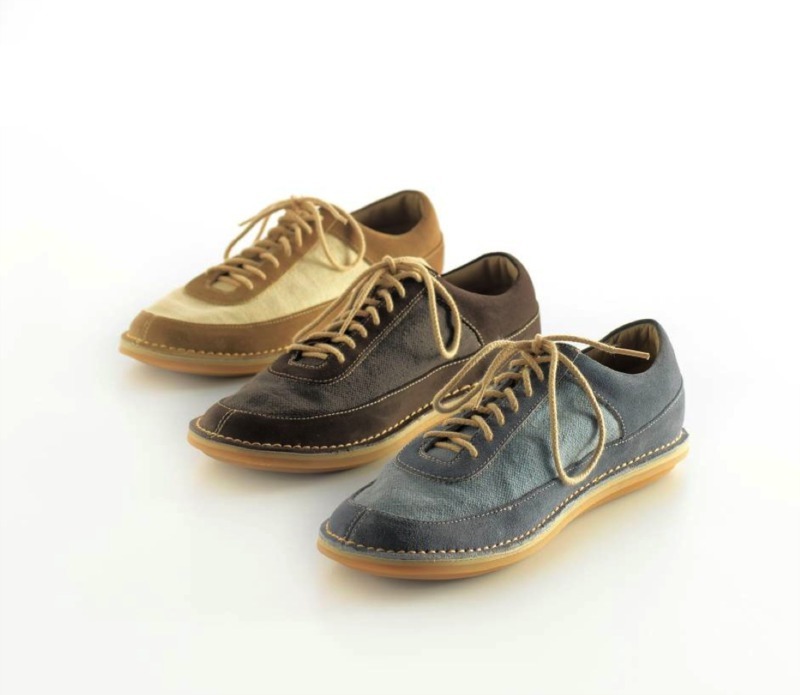 A legendary shoe meets an iconic fabric: Camper Pelotas and Hallingdal 65 by Kvadrat. 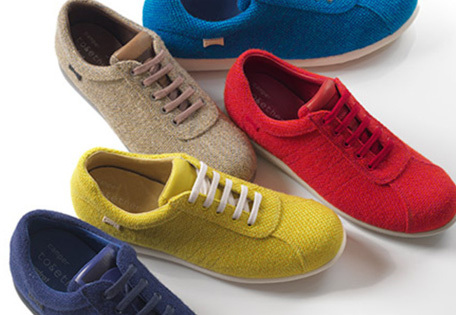 Kvadrat is a Scandinavian company dedicated to the development and production of textile materials. The firm has forged a stellar international reputation based on the genius of its designs as well as its innovative corporate attitude. 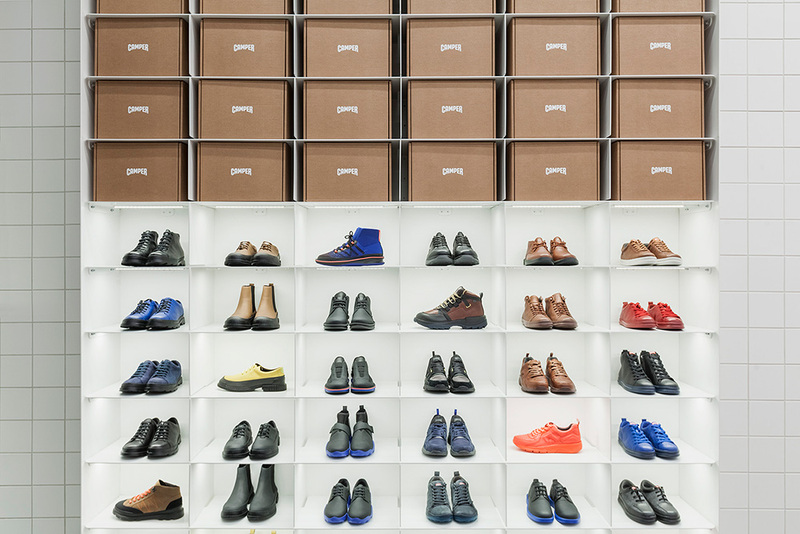 Kvadrat works with some of the world's leading designers, architects and artists: Ronan & Erwan Bouroullec, Akira Minagawa, Tord, Boontje, Alfredo Häberli, Peter Saville, David Adjaye, Olafur Eliasson and Thomas Demand. Together they create beautiful, cutting-edge textiles that have won major distinctions, such as the 2013 European Consumer Award for Ready Made Curtain (designed by Bouroullec), Most Innovative Textile at the 2009 Wallpaper Design Awards for Clouds (designed by Bouroullec), the 2009 AIT Innovation Award Architecture Textile Object for Village (designed by Häberli), the 2009 AIT Innovation Award Architecture Textile Object for the upholstery Highfield and the curtain Village (designed by Häberli), and the 2007 Forum AID Award for North Tiles (designed by Bouroullec). In May 2012 Kvadrat was awarded the title of "Denmark's Healthiest Company", and in 2013 it ranked 21st on the list of the "100 Best Workplaces in Europe". 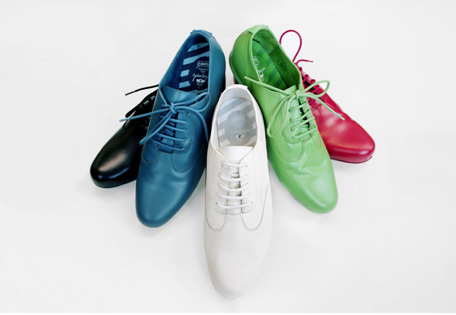 Maria Blaisse's work is based on her research into form and movement. 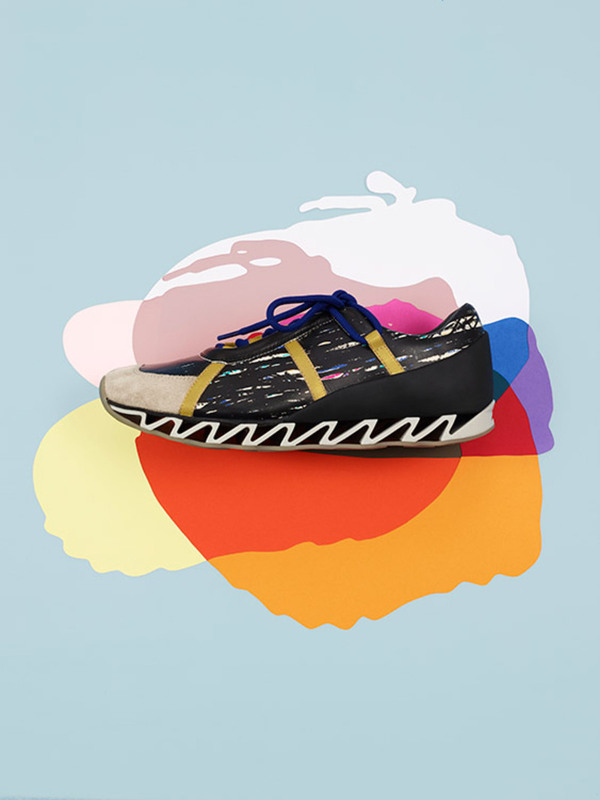 This legendary, visionary artist, a keen observer, explorer, designer and garment sculptor, came on board with the Together project to create shoes which, though made for walking, look for all the world like works of art. Her creations are objects of exquisite three-dimensional simplicity, walking sculptures: it's hard to decide whether to sit down and admire them or take them out for a stroll. Experimenting with materials and techniques and studying form and movement have been the mainstays of Maria Blaisse's brilliant career. She graduated from the Gerrit Rietveld Academy in Amsterdam with a degree in Textile Design in 1968, and two years later she went to work for the New York-based designer Jack Lenor Larsen. The year 1972 marked the beginning of a new phase in which she researched natural textile techniques, the use and treatment of flexible materials and the possible applications of techno textiles. Her studies of form and movement drew her into the world of art, fashion, theatre and dance, where she produced visually stunning designs whose forms and materials adapted to the body's every movement. 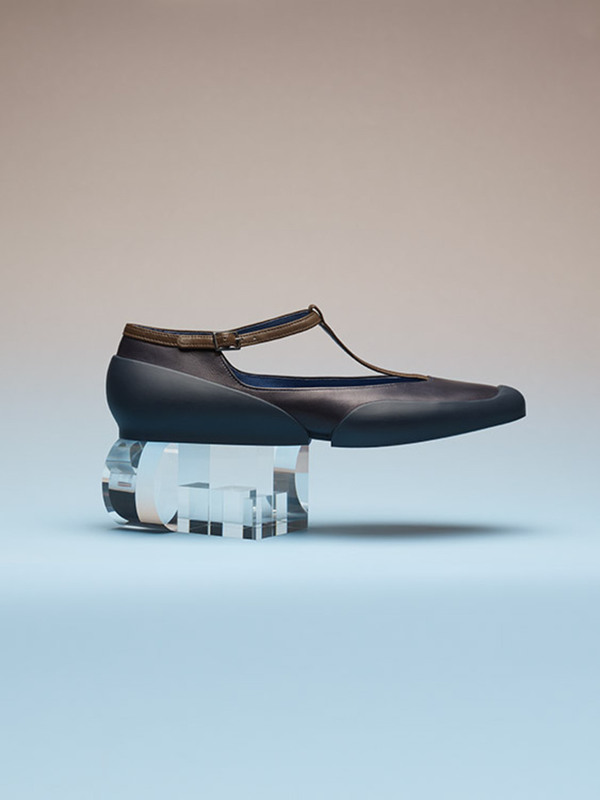 Maria Blaisse has created designs for Jan Cansen, Issey Miyake and Lady Gaga, and she has received distinctions such as the Emmy van Leersum Design Prize, the "Oggetti per Domus" nomination in the Domus Design Competition, the Design Preis Schweiz and the Rotterdam Design Prize. Her work has been exhibited in Berlin, Stockholm, Lausanne, Linz, London, Paris, Perth and Tokyo. 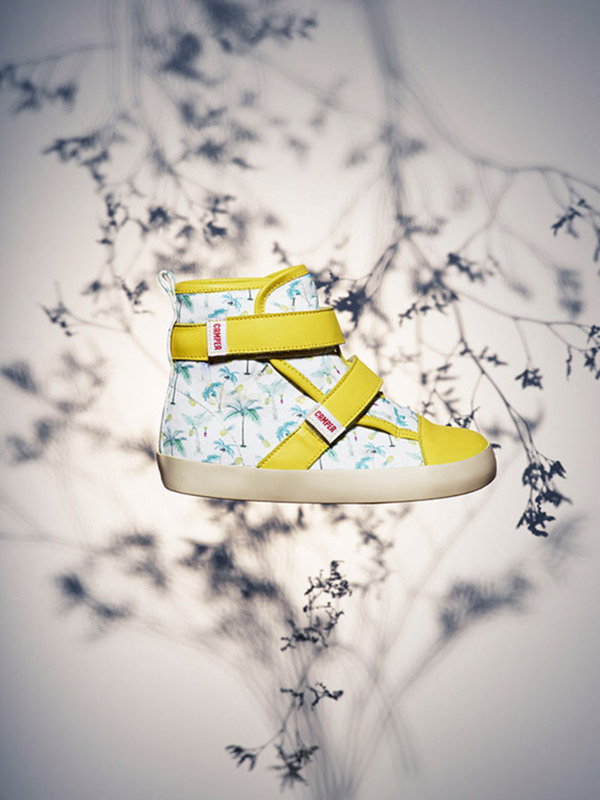 The inquisitive, daring spirit of mintdesigns is just the piece that Camper needed to complete its creative puzzle. 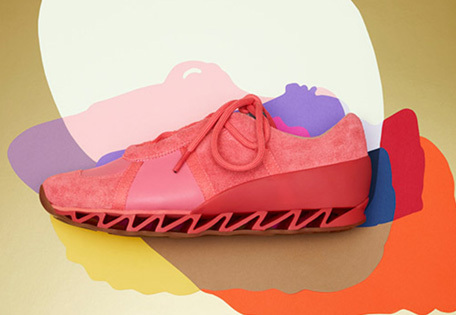 Together they explore new forms of anatomical comfort, revise materials, play with fabrics and textiles, invent geometries, create prints, trigger colour explosions and find inspiration in iconic industrial design pieces to create footwear. Boundless creativity. 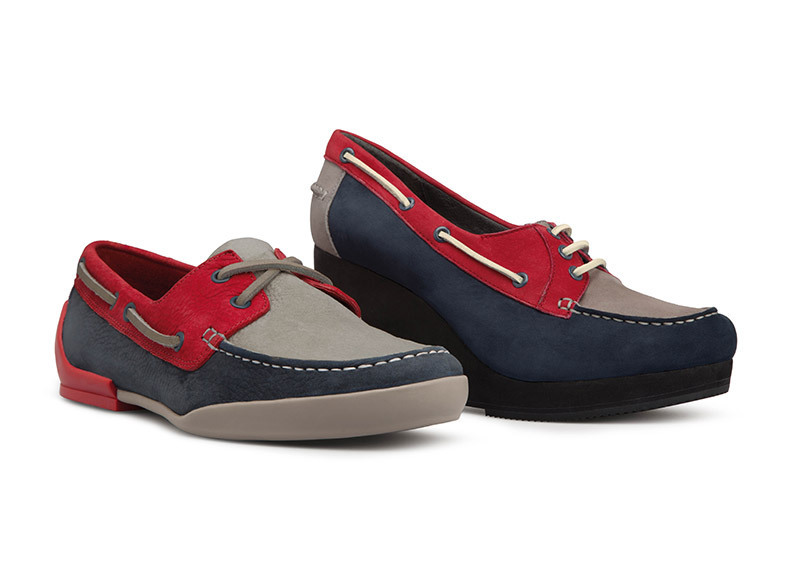 Originality and boldness. Totally new perspectives. After studying design at Parsons in New York, Hokuto Katsui continued her education at Central Saint Martins in London, where she met Nao Yagi. 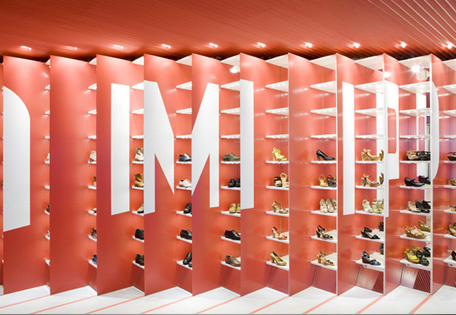 In 2001 they settled in Tokyo and created mintdesigns, a brand known for its singular belief that design trumps fashion. Their work has received international distinctions such as the Moët & Chandon New Designers' Award in 2005 and the prestigious Mainichi Fashion Grand Prix in Tokyo in 2010. 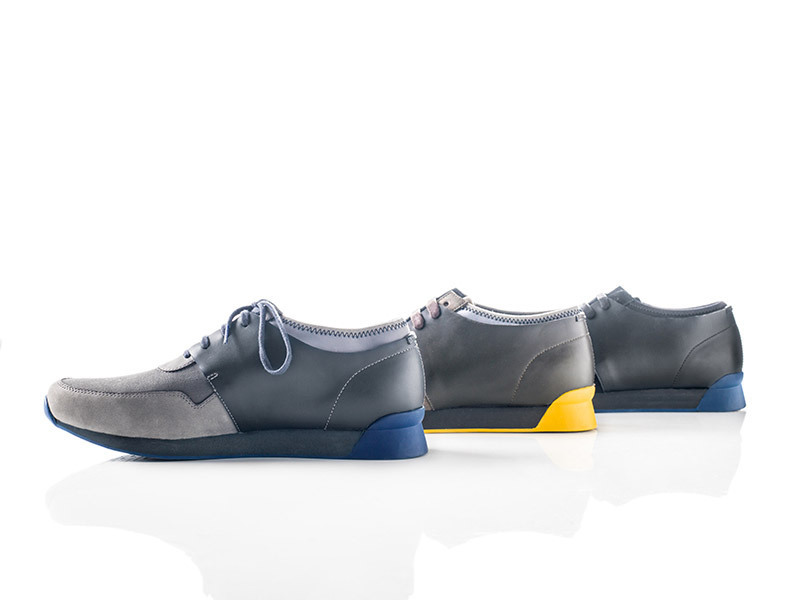 The Camper shoes designed by Oki Sato and his team are based on the idea of "the everyday pleasure of walking". The creative minds at Nendo have turned out functional designs made with simplicity, a dash of humour and loads of talent, products that consistently reflect the philosophy and foundations of this brilliant Japanese studio's modus operandi. The everyday can become something more if you pay proper attention. 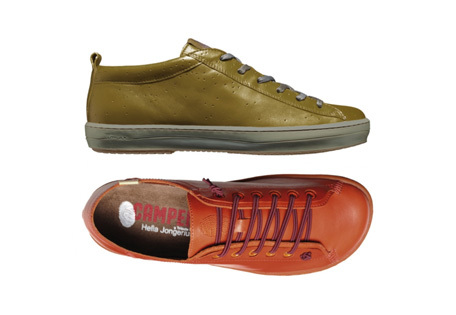 You would expect Camper to approach a fashion designer associated with the rock 'n' roll scene. 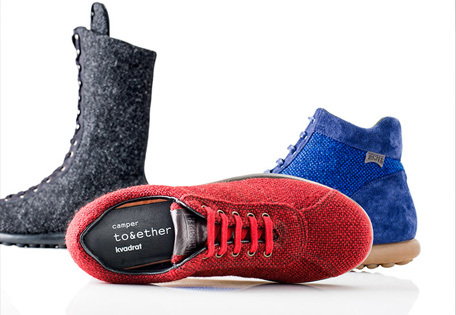 You would also expect this New Yorker to accept the creative challenge of a brand like Camper. 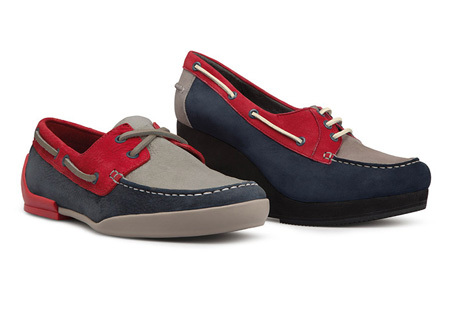 What you wouldn't expect is the kind of shoes spawned by this subversive romance. 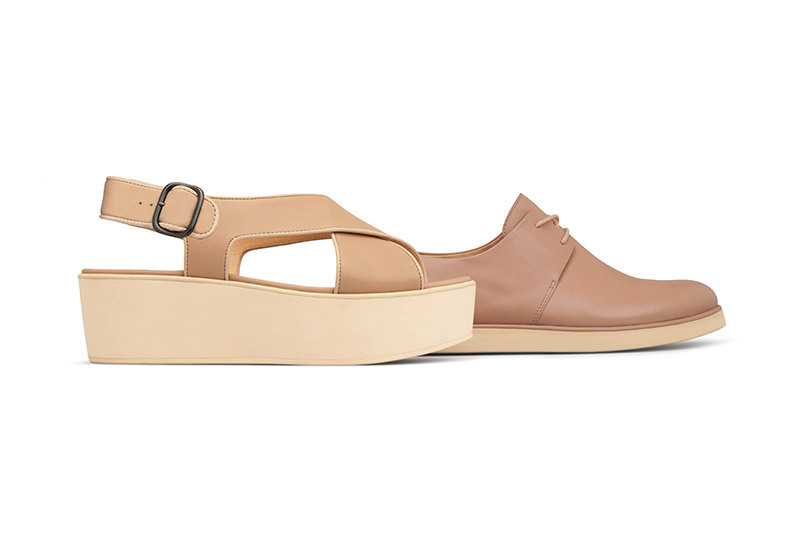 The Camper footwear designed by Rachel Comey is the epitome of rebellion, combining such radically different techniques as traditional craftsmanship and industrial manufacturing. After training as a sculptor at the University of Vermont, the artist moved to New York and entered the world of fashion, becoming involved in the field of artistic wardrobe design for the theatre and music groups. 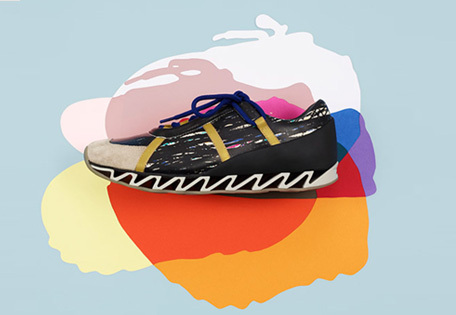 Her designs for the band Gogol Bordello were featured in the Whitney Biennial in 2001, when she launched her first men's collection. 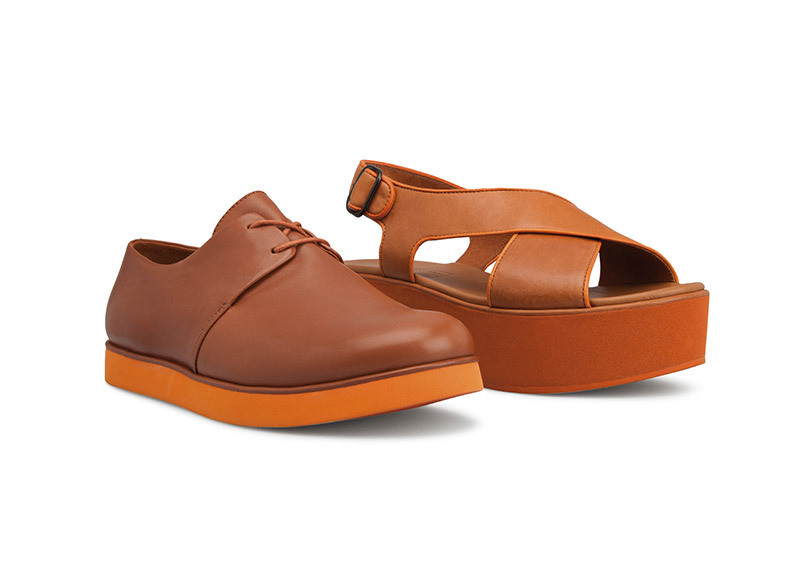 Rachel Comey's signature style, halfway between rock and vintage, was a success with the guys but it also appealed to girls, who bought up the smaller men's sizes in order to sport the label's designs. When David Bowie appeared on The Late Show with David Letterman wearing a Rachel Comey shirt, the New York label became an overnight success. "I love inventing games and happy things. Fantasy is my greatest source of inspiration" (Romain Kremer). 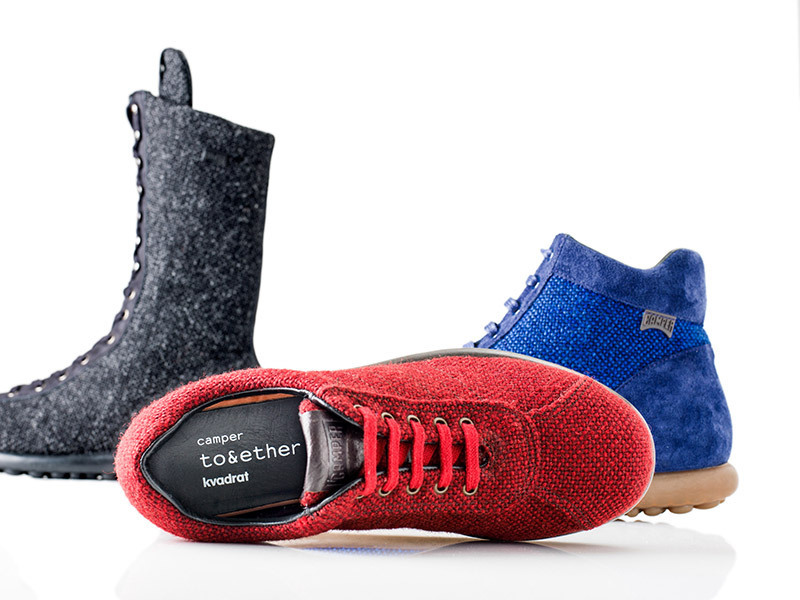 Camper and Romain Kremer have teamed up to accept a dare. 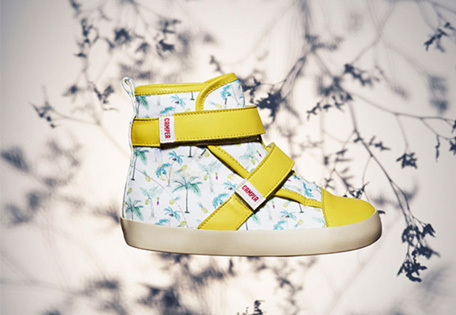 Armed with a futuristic vision, creative ambition and a rebellious attitude, the designer and the brand waltz to the tempo of experimentation, freedom and playful fun. Fantasy and technical precision. Let the show begin! Romain Kremer graduated from the Duperré School of Applied Arts in Paris in 2002, and the following year he went to work for the prestigious firms Christian Dior Monsieur and Gaspard Yurkievich in the French capital. In 2005 he won Special Award for Creativity at the Hyères International Fashion & Photography Festival, and he participated in the performance installation “J’en rêve” at Fondation Cartier pour l'Art Contemporain. 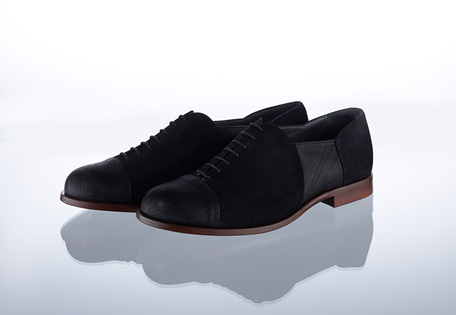 He presented his first collection in 2006, at the tender age of 21. The designer's eccentric staging and his provocative, futuristic style are surprising for their originality and freshness. 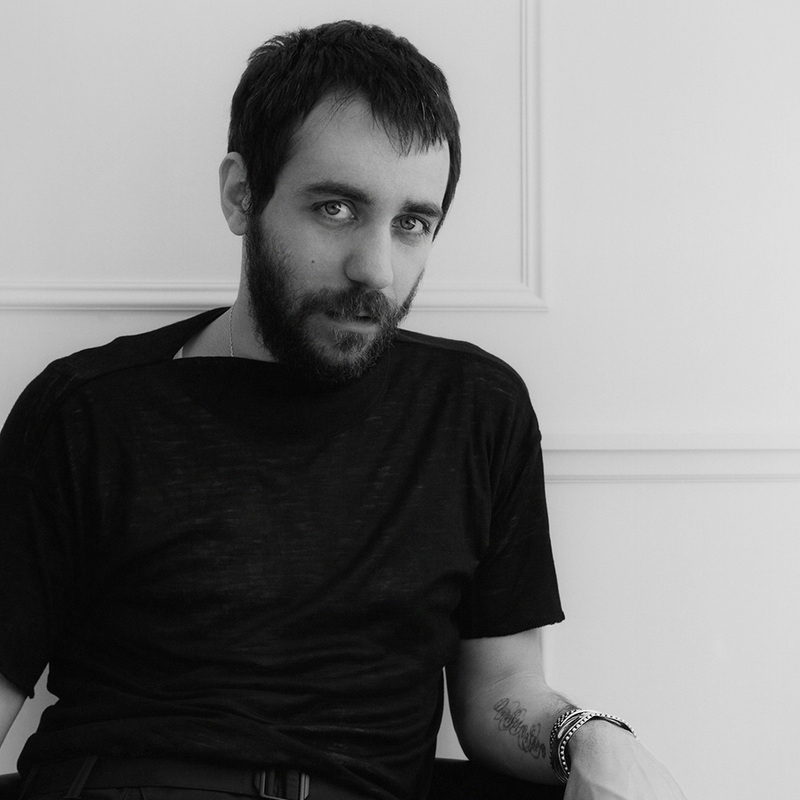 Romain Kremer is rapidly becoming a fixture in fashion and style magazines, which have dubbed the precocious designer the "21st century boy". After studying technical design and training as a pattern cutter at Kingston University and the London College of Fashion, Toshio Yamanaka enrolled at the prestigious Central Saint Martins College of Art and Design in London where he met Sarah Swash, the other half of this creative duo. 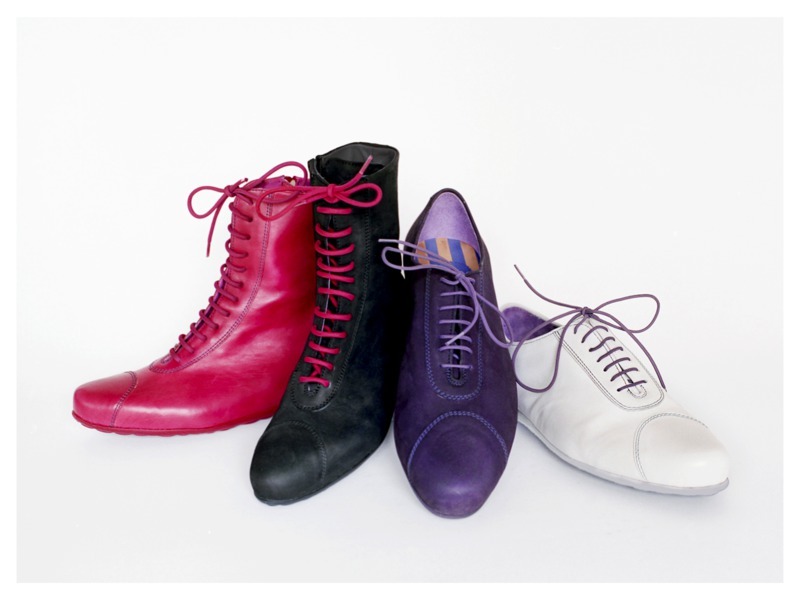 In 2004 they won the Grand Prix at the 19th Hyères International Fashion Arts Festival. That same year, they created the brand that would make their fantastic illustrations famous around the world. 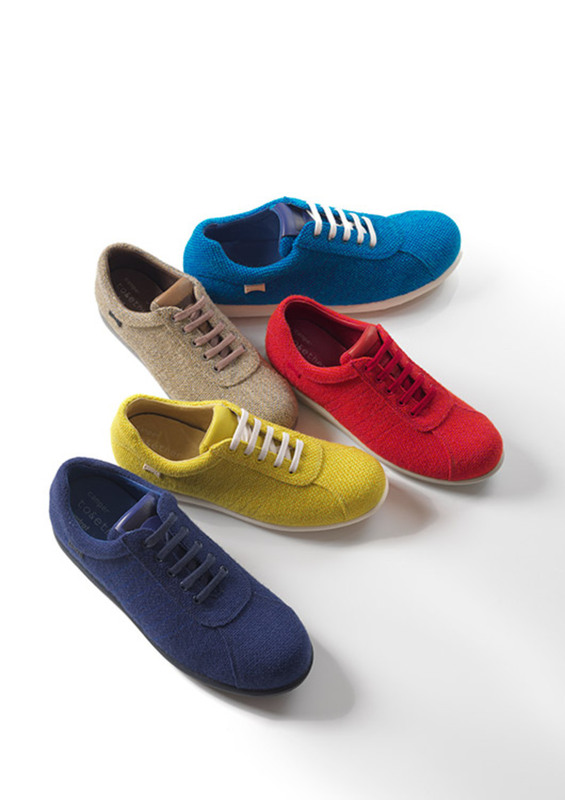 Today Swash is a solid company based in London with a constant presence in international design circles. The designers have collaborated with the renowned fashion dictionary Fashionary, designed a cover for The New York Times "T Magazine", worked on the "Handmade" project for Wallpaper magazine, participated in installations at the Hyères festival on two occasions, and are regularly featured on the covers of magazines like Vogue, Harpers Bazaar, Elle and Cosmopolitan. Clothes, lingerie, eyeglasses, bags, opera costumes, shoes... whatever she designs, Veronique Branquinho always steers clear of ostentation, a decision that Camper applauds and decided to celebrate by inviting her to join the Together project. 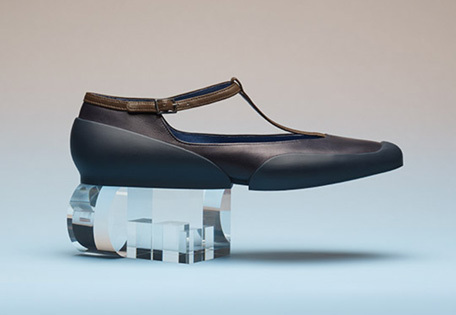 The result is footwear that captures every nuance of the Belgian designer's understated perfectionism, shoes that are absolutely breathtaking in their stark simplicity. Veronique Branquinho graduated from the Royal Academy of Fine Arts, Antwerp, in 1985. In 1994 she became associated with a group formed at her alma mater, the "Antwerp Six", rubbing elbows with prestigious designers such as Raf Simons, Olivier Rizzo, Peter de Potter and Dries van Noten. In 1997 she created her own label and presented her first collection in Paris. 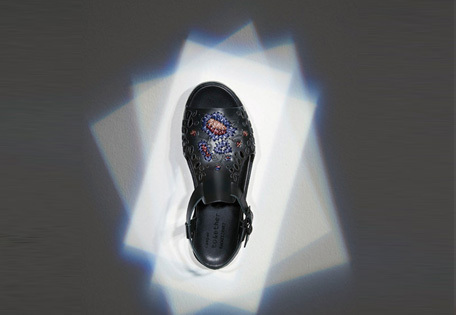 Heady success quickly followed: from its headquarters in Antwerp, the Veronique Branquinho brand spread to New York, Moscow, Tokyo, London and Paris. 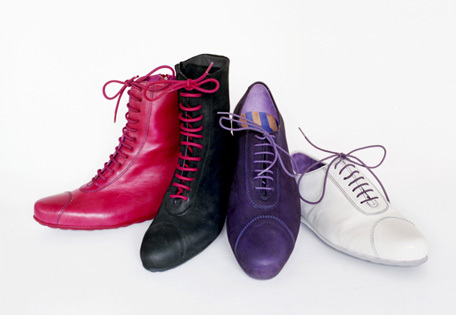 In 2008 the ModeMuseum in Antwerp organised an exhibition featuring designs from her early years. 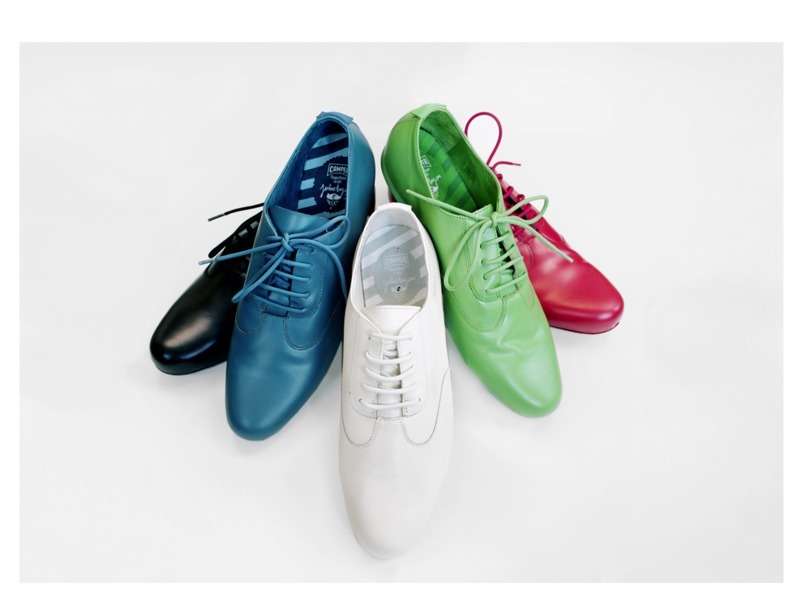 In 2012 she designed the wardrobe for the opera Sága by Belgian band Dez Mona. She has exhibited at the Fashion Biennale in Florence and the Institute of Fashion Technology in New York. 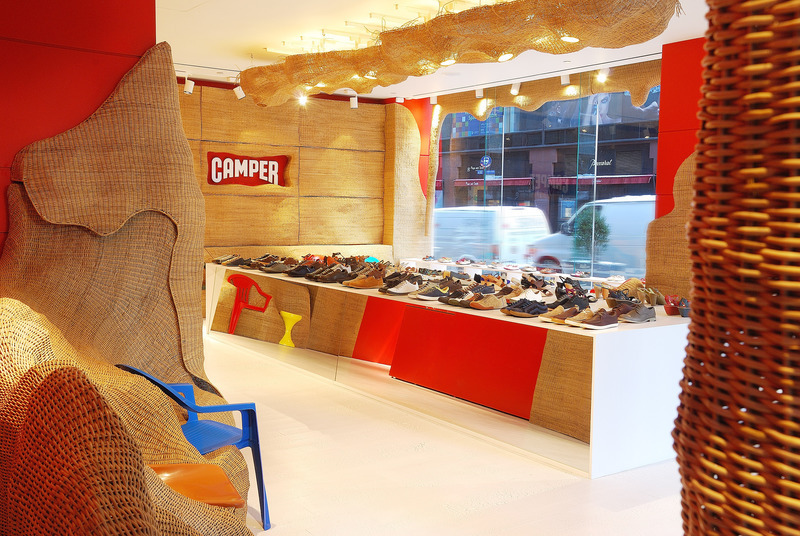 Stepping into a Camper store designed by Jaime Hayón is like moving from reality into a dream world. This creator plays with style fusion, combining materials and designing furniture that is always unusual, with a quality verging on handicraft. 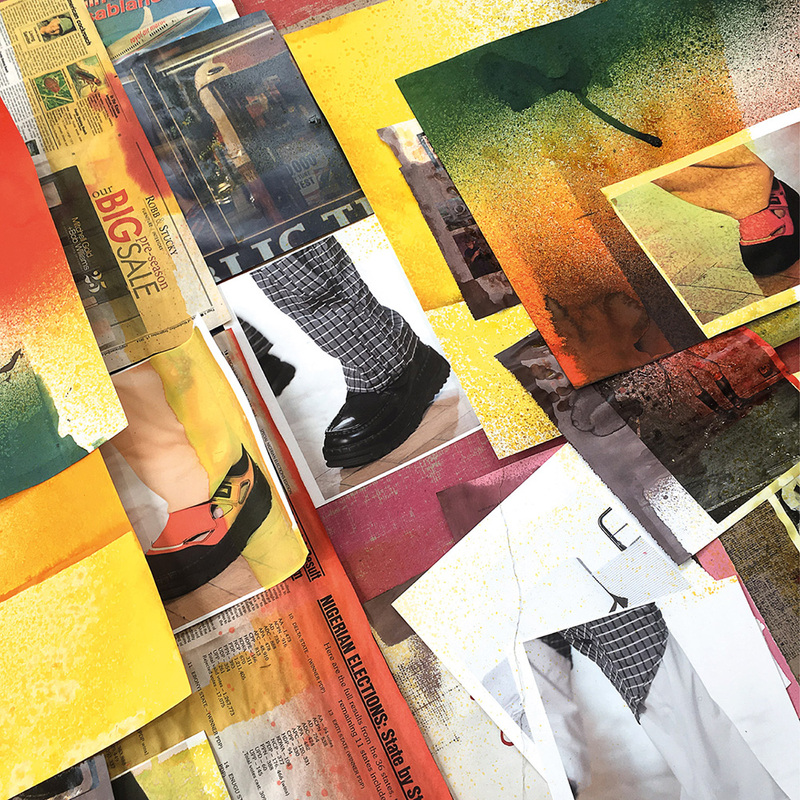 His spaces are worthy of the shoes they display: imagination is always in the air, and we feel as though we have stepped through the looking glass. 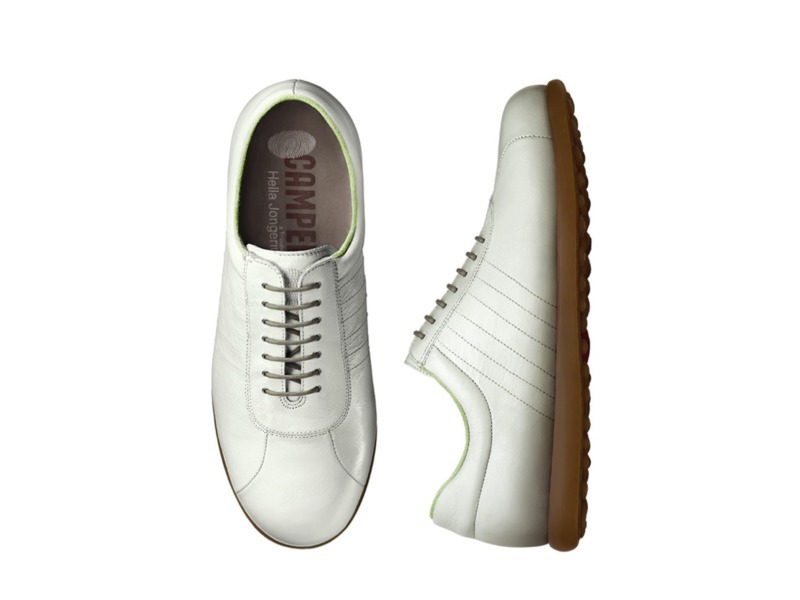 Bajowoo is inspired by the underground punk scene of cities such as London, Paris, Tokyo, and Bangkok. 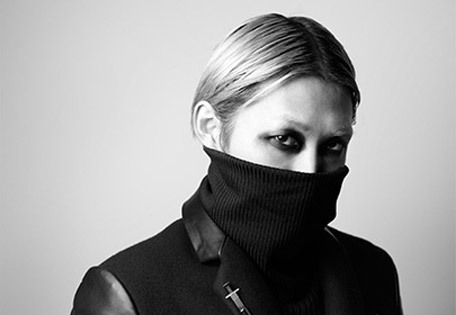 99%IS- is considered to be Korea’s first official punk brand, with a refined urban style characterized by its black and white color palette and the use of leather and studs. 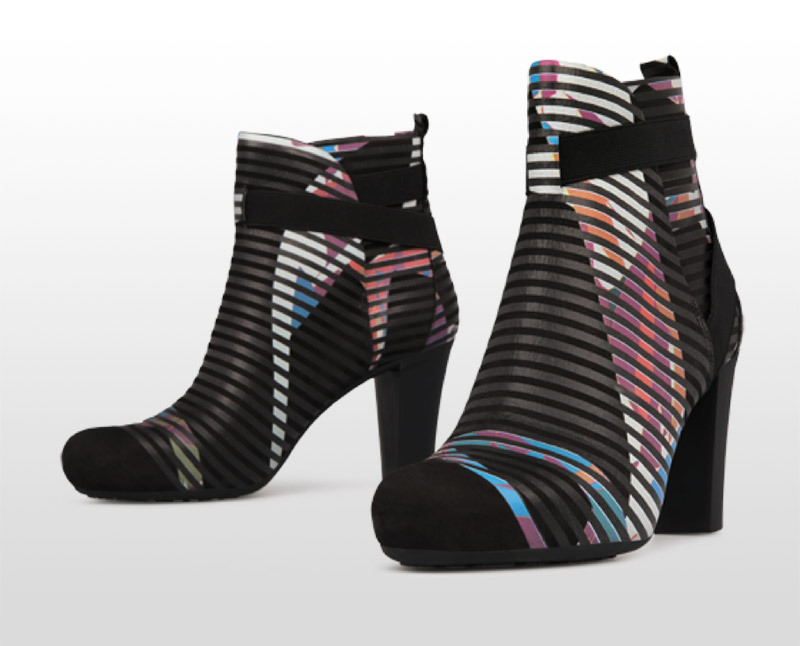 Bajowoo began designing garments and artwork for rock bands while studying at ESMOD. 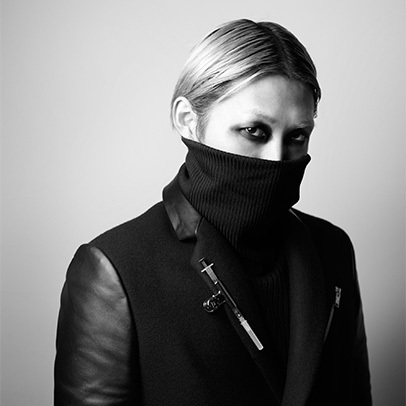 He made his debut in 2014 at Mercedes-Benz Fashion Week Tokyo. 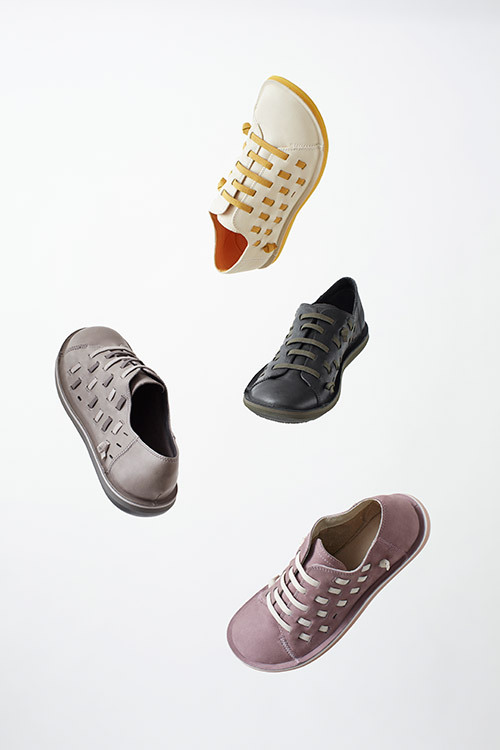 Bajowoo has collaborated with brands such as Comme des Garçons, Mackintosh, George Cox, and Underground. Celebrities such as Lady Gaga and Justin Bieber have been spotted in 99%IS- clothes. Eckhaus Latta embraces a deconstructed, avant-garde aesthetic through pieces that seem relaxed and easy to wear. 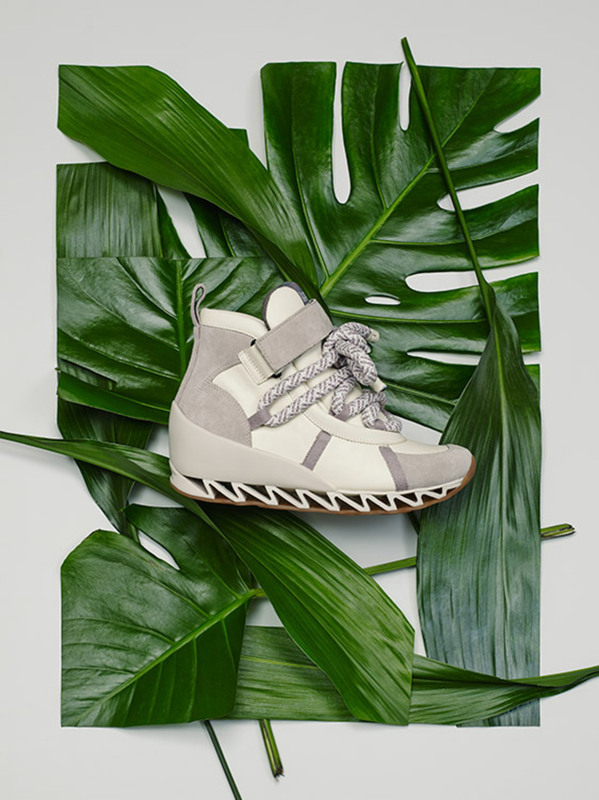 Inspired by the underground spirit and urban vibe of New York City, the duo encompasses the daring, forward-thinking spirit of our Together collaborations through the use of unlikely materials and rich, textured finishes. By fusing handcrafted elements with a minimalist design, Eckhaus Latta consistently pushes the limits through their own signature approach to contemporary fashion. Eckhaus Latta is an American fashion label created and designed by Mike Eckhaus and Zoe Latta, which embraces an original, avant-garde aesthetic using unexpected materials and distinctive shapes. 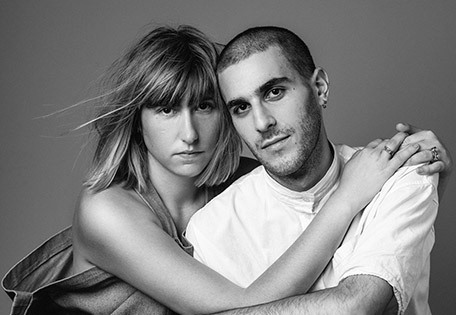 The pair met while attending the Rhode Island School of Design, where they each earned a BFA. 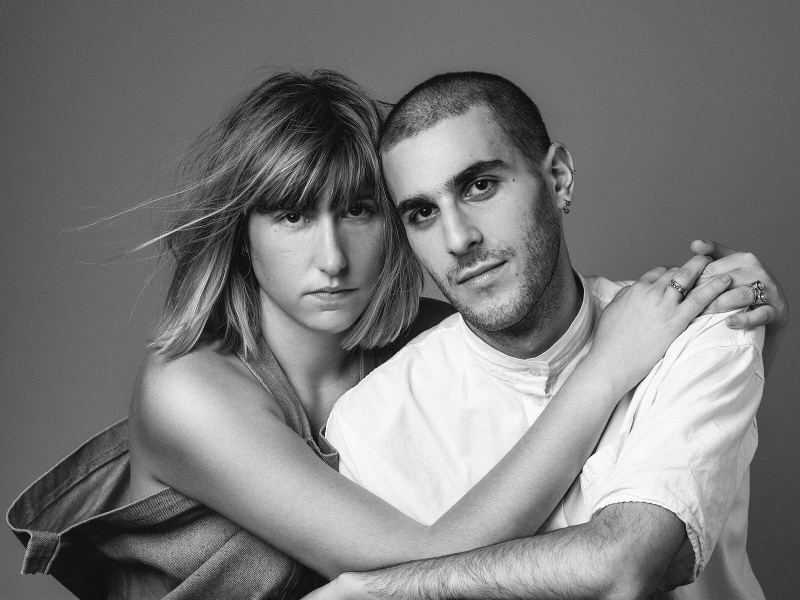 Prior to starting their own label in 2011, Eckhaus and Latta designed and worked with several brands and artists, including Marc Jacobs, Proenza Schouler, Matthew Barney, Opening Ceremony, and threeASFOUR. 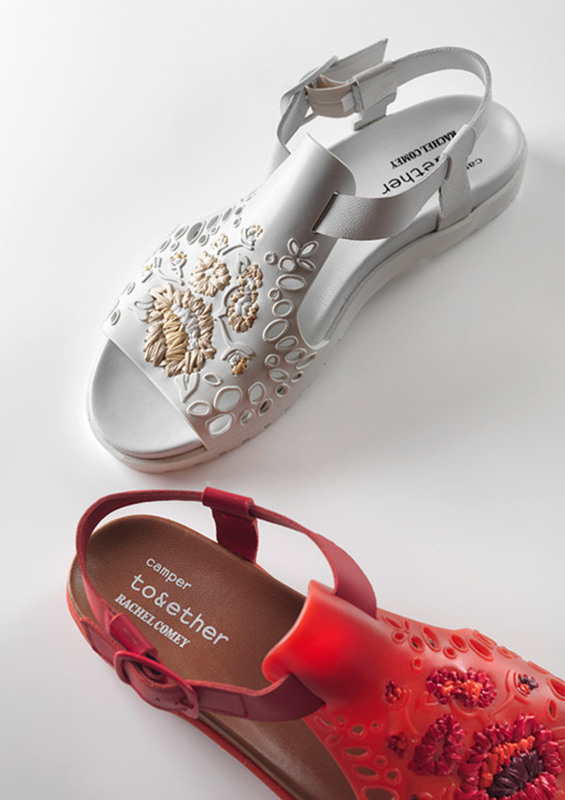 Aside from their bi-annual collections released during New York Fashion Week, the pair’s work has been exhibited at institutions such as the Venice Biennale, Kraupa­-Tuskany Zeidler Gallery (Berlin), Gavin Brown’s Enterprise (NYC), New Museum (NYC), Museum of Art and Design (NYC), Galerie Isabella Bortolozzi (Berlin), MOCA (LA), and MoMA PS1 (NYC). 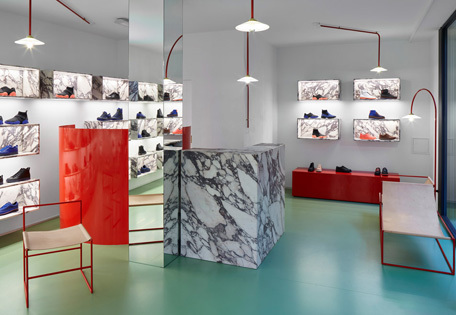 Belgian designer duo Muller Van Severen showcases their playful approach to textures and colors in our Antwerp store, creating a fresh space with bold contrast and a special harmony. Continuously exploring the traditional boundaries of art and design, the couple relies on repetition and their unique choice of materials to provide added depth and character, using rectangular marble boxes to focus on individual products and strike the perfect balance of simplicity and splendor. 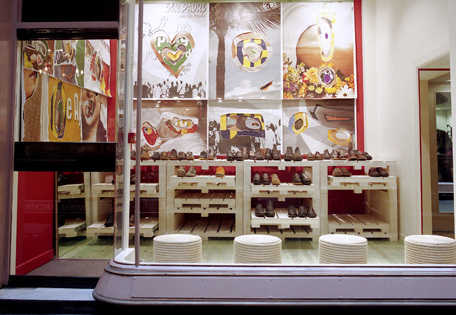 Muller Van Severen, composed of Belgian visual artists Fien Muller and Hannes Van Severen, made their design debut in 2011. Together, the duo explores the boundaries between art and design in a contemporary and innovative way, adopting an inventive and imaginative approach to functionality. By creating tension between the colors, proportions, weight, and appearance of different materials, the designers create a fascinating universe focused on architectural space and sculptural form.